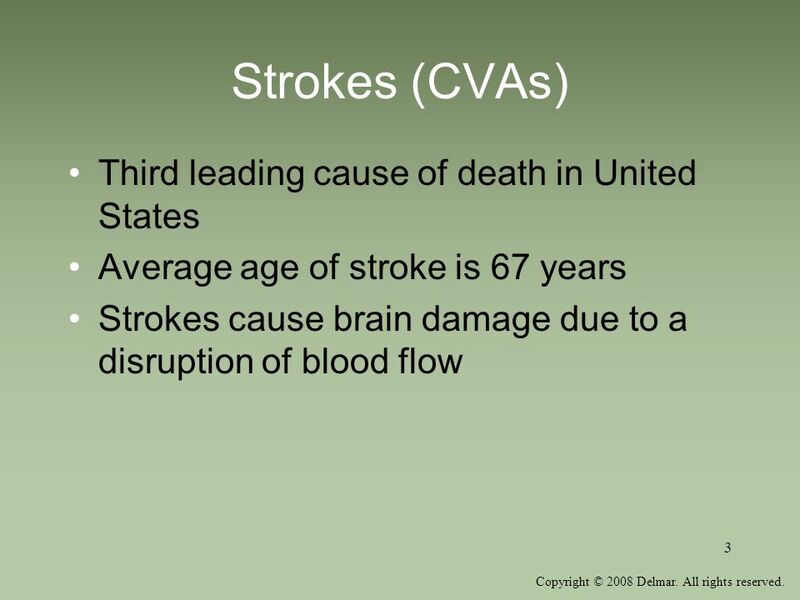 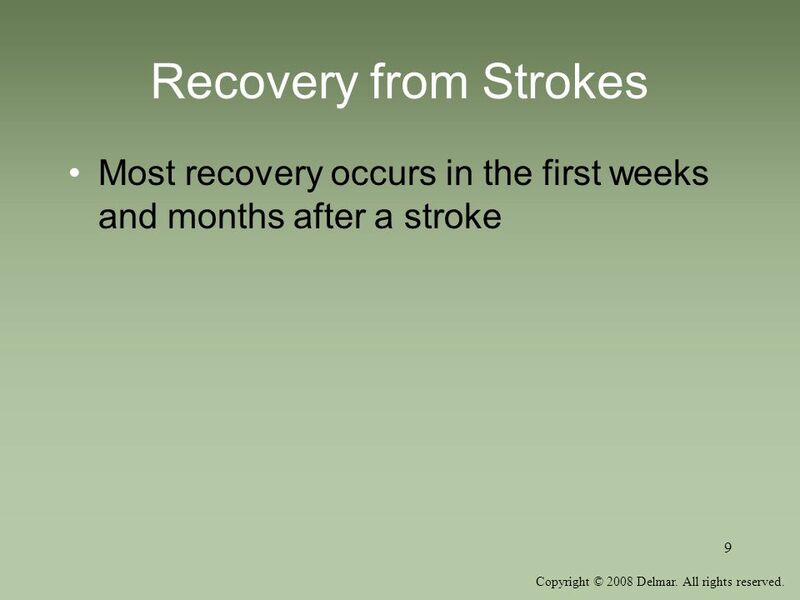 Average age of stroke is 67 years Strokes cause brain damage due to a disruption of blood flow Discuss the risk factors for a stroke and warning signs of a stroke. 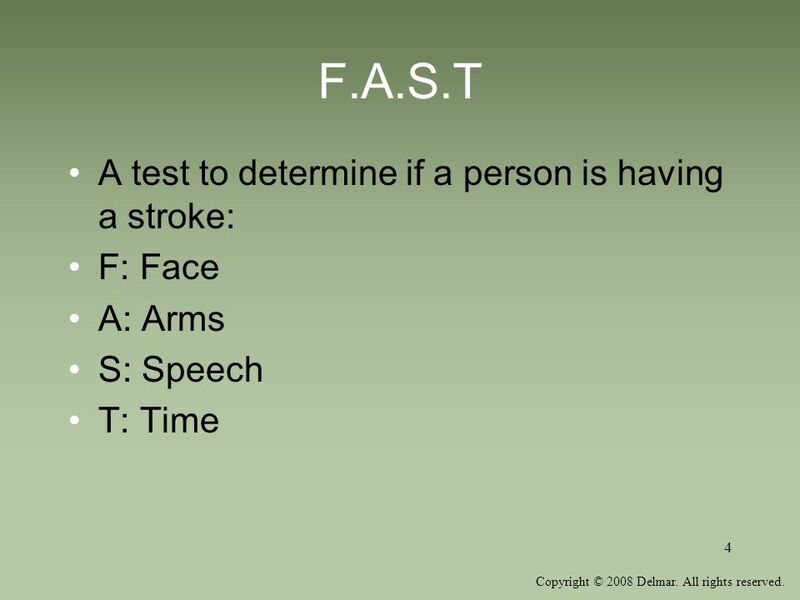 A: Arms S: Speech T: Time Full description of FAST acronym provided in Figure 35-2. 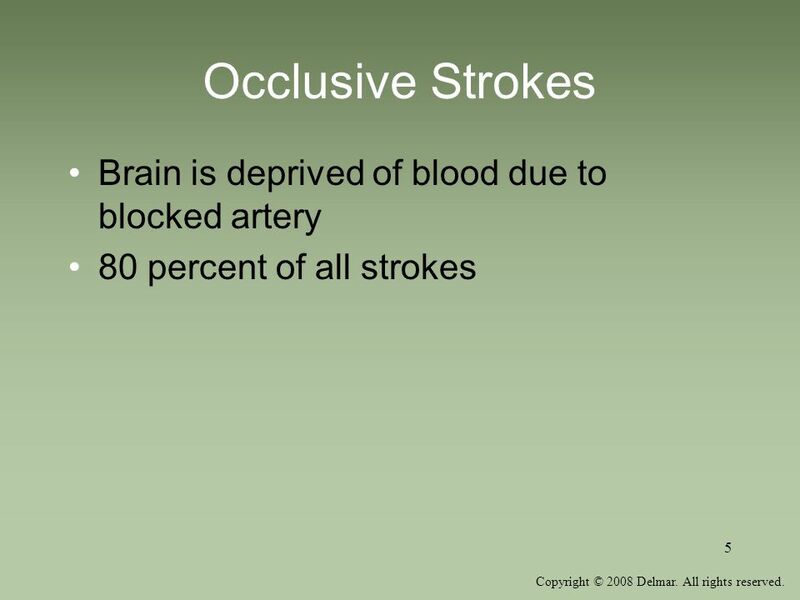 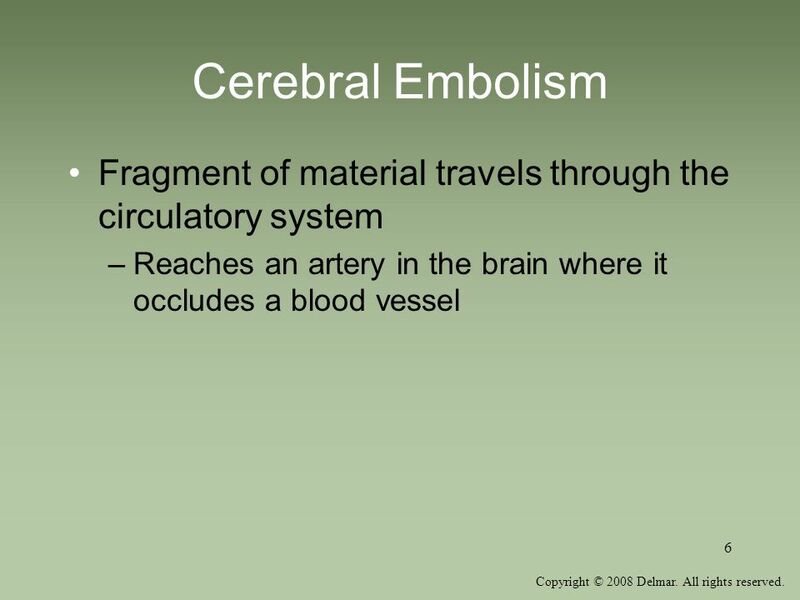 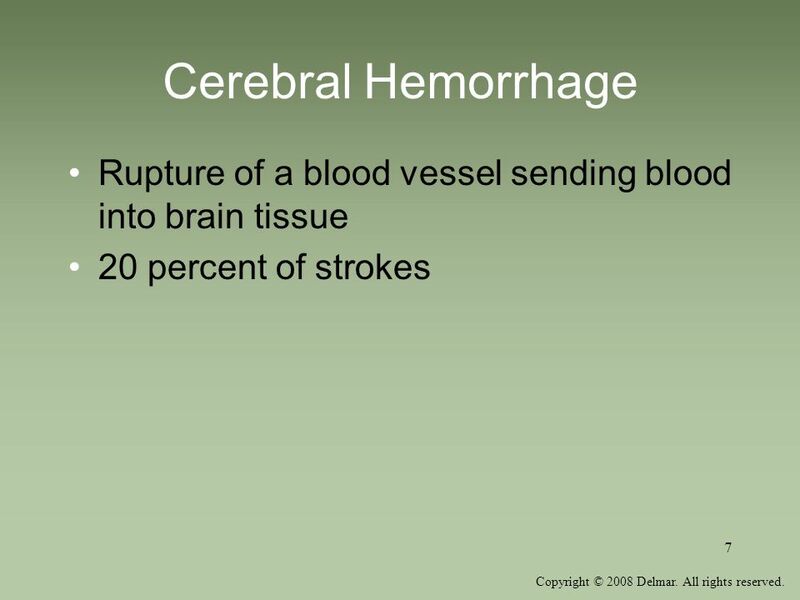 7 Cerebral Hemorrhage Rupture of a blood vessel sending blood into brain tissue 20 percent of strokes See Figure 35-4. 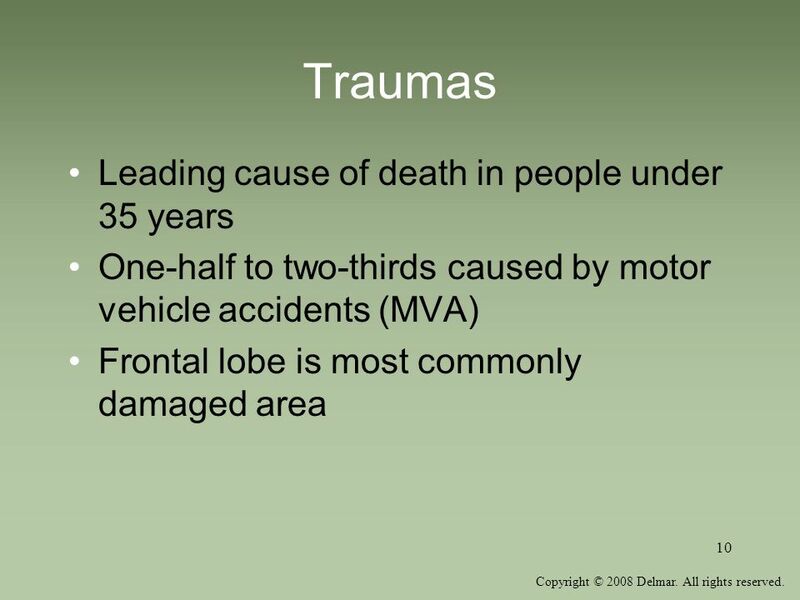 One-half to two-thirds caused by motor vehicle accidents (MVA) Frontal lobe is most commonly damaged area Figure 35-6 shows trauma of a stab wound and hemorrhage. 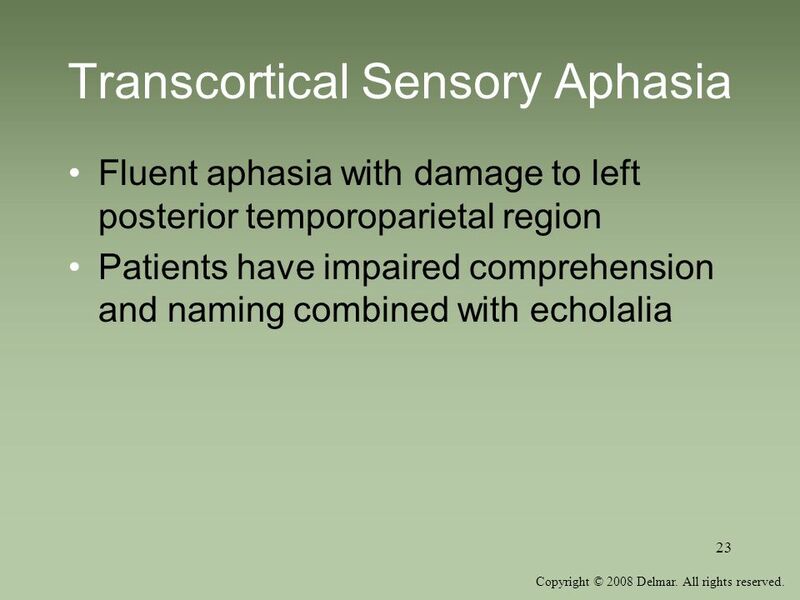 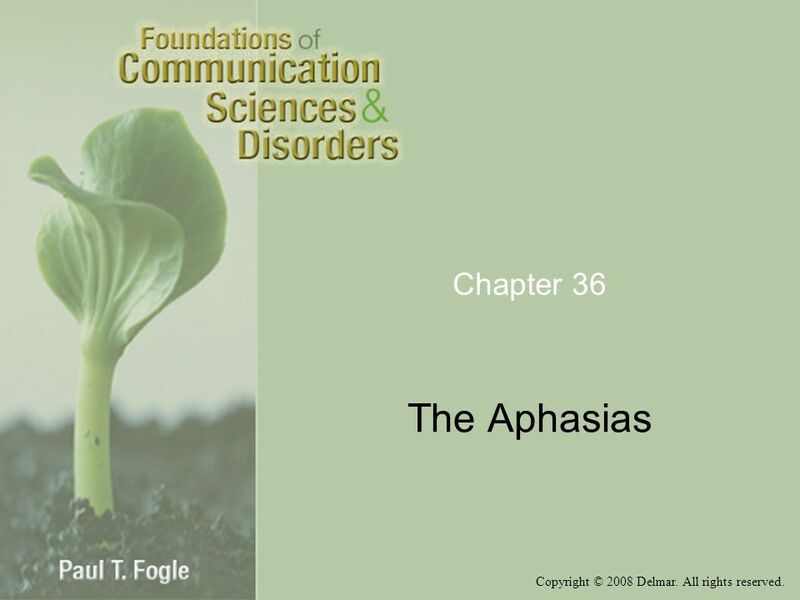 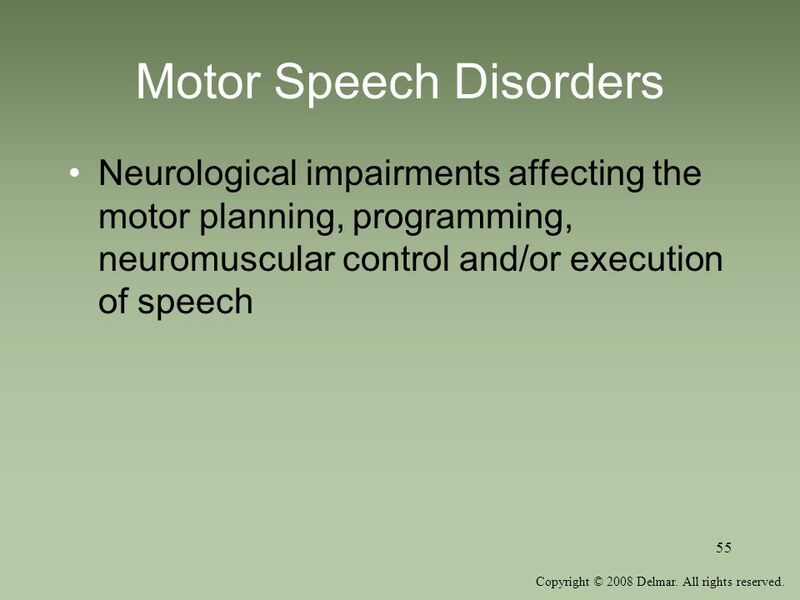 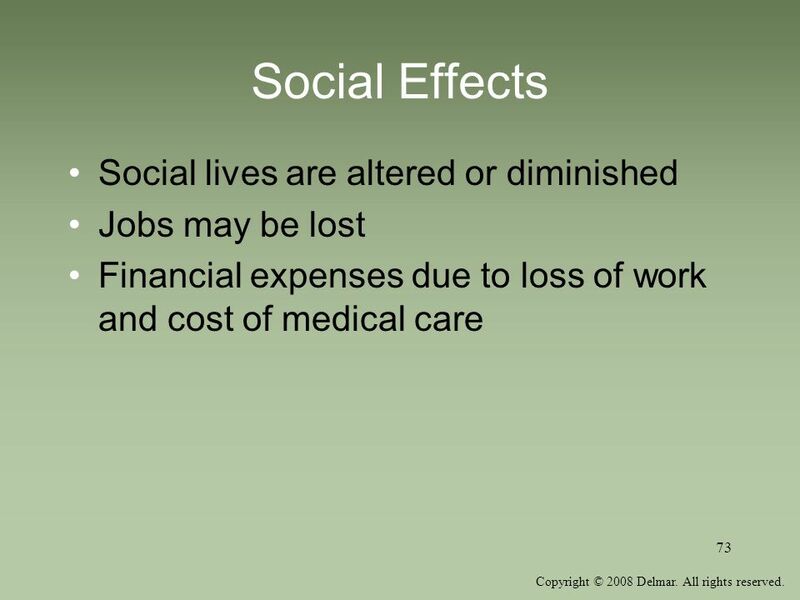 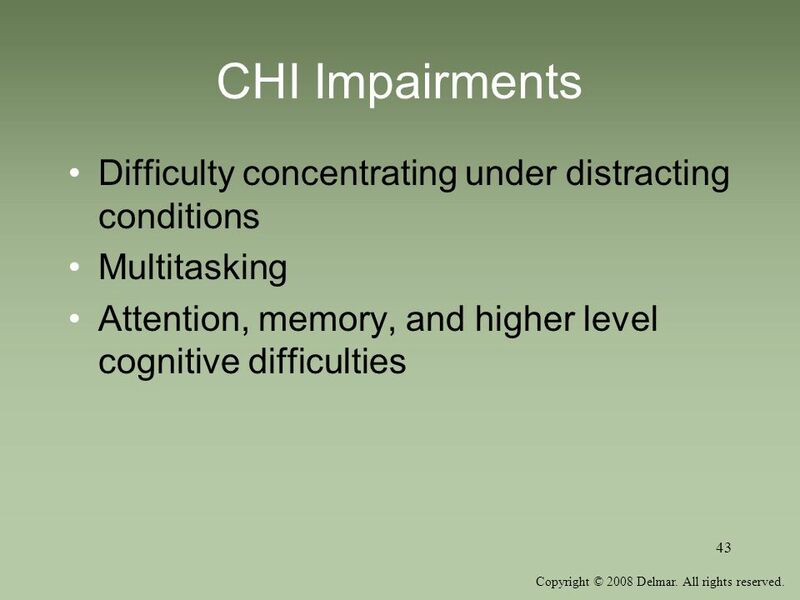 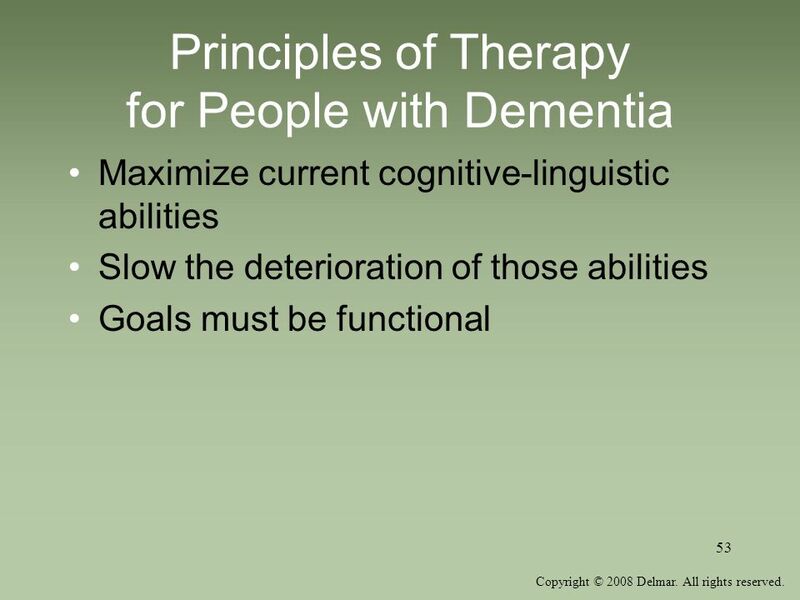 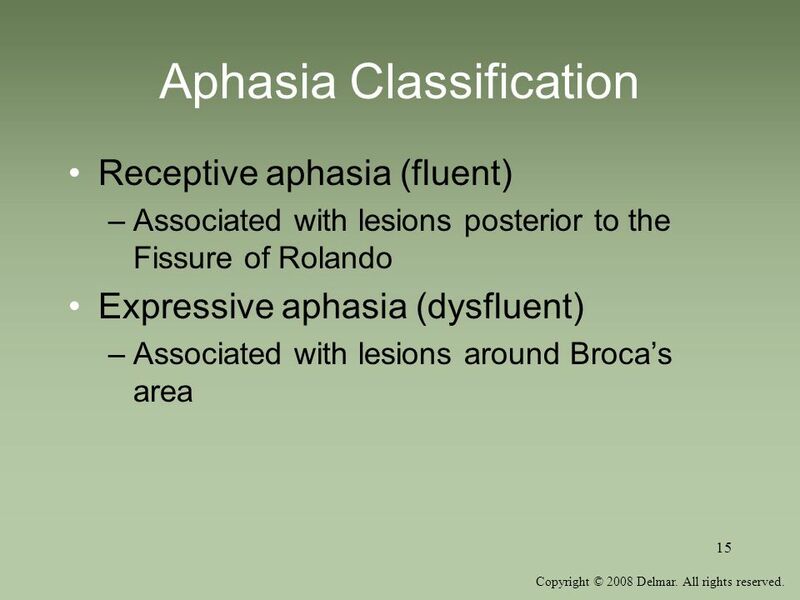 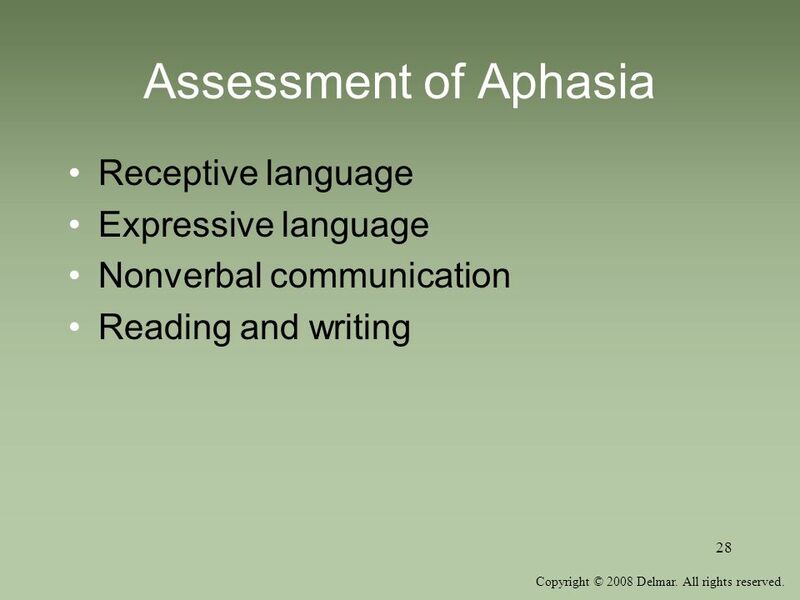 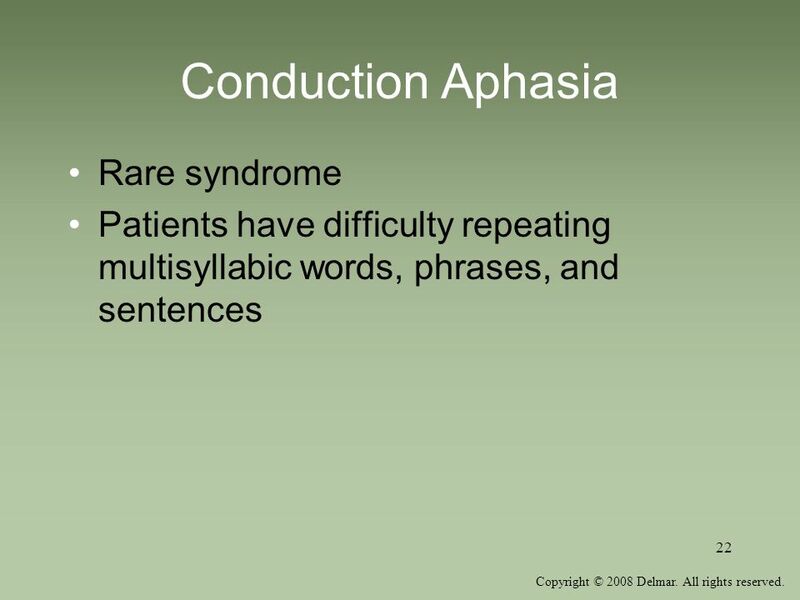 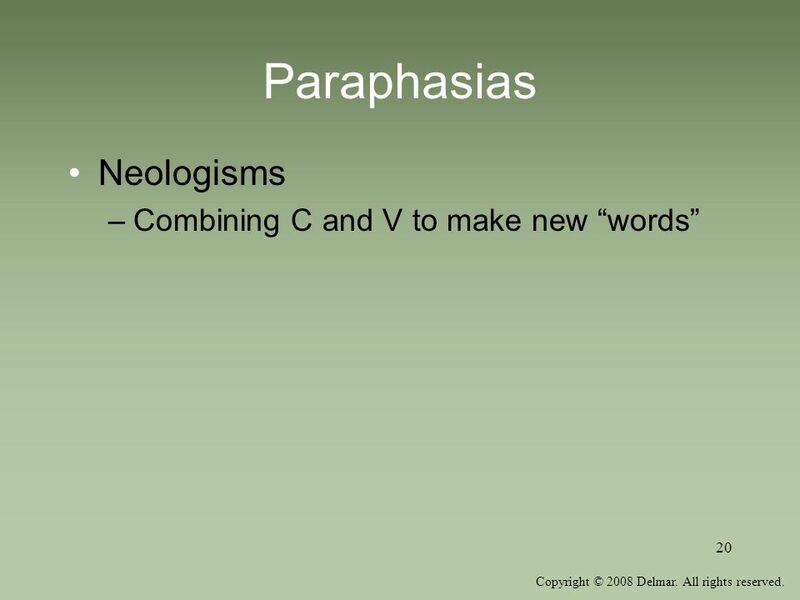 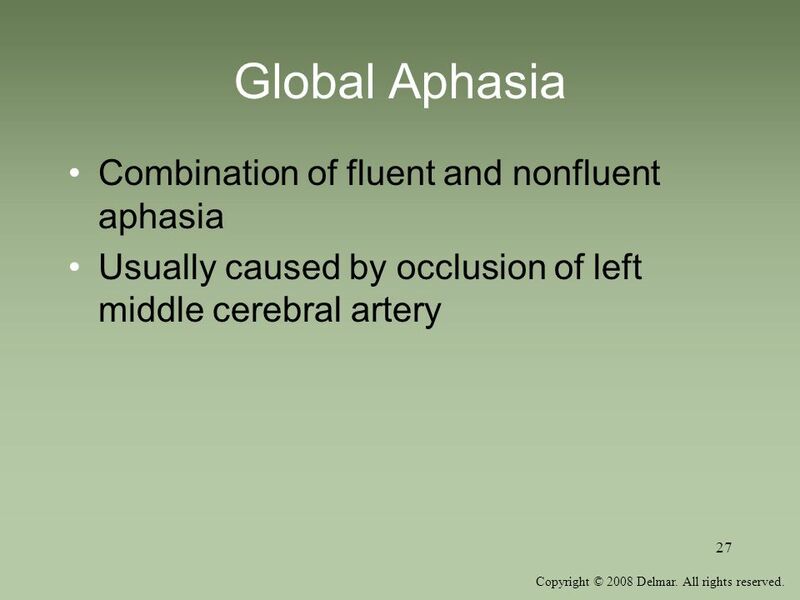 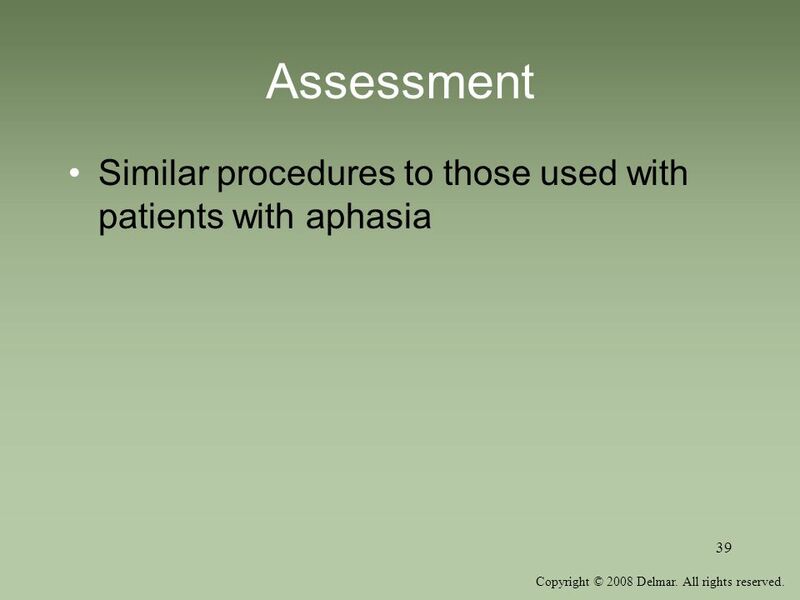 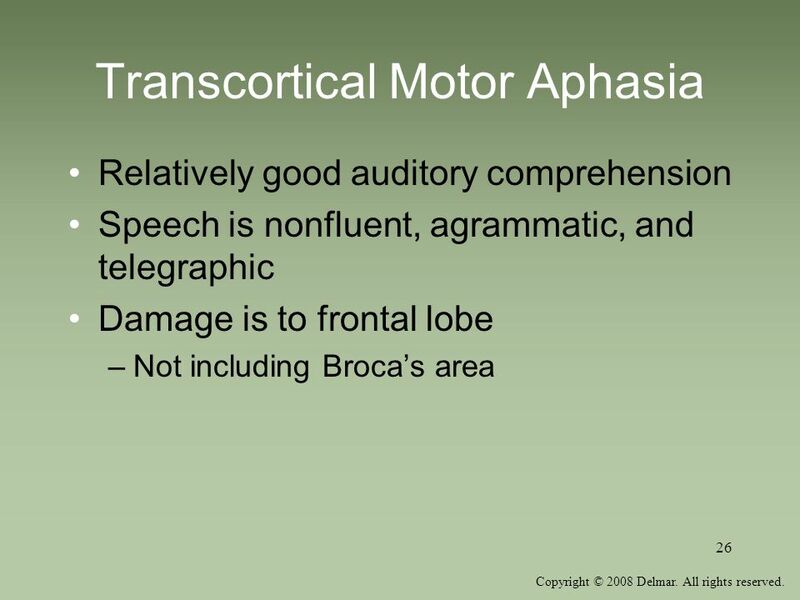 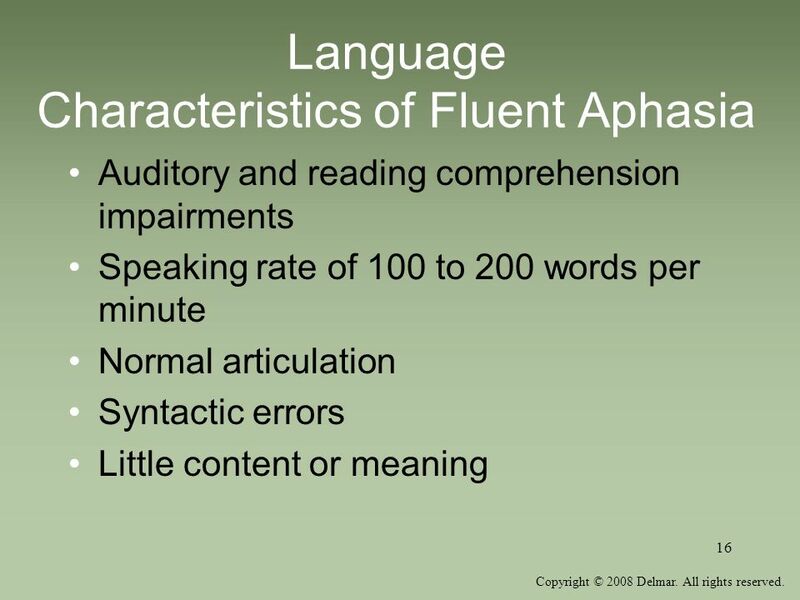 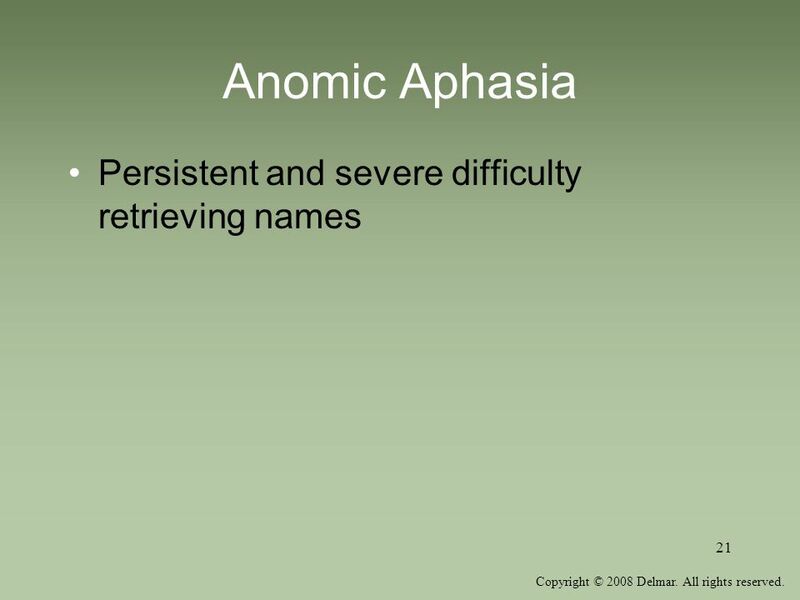 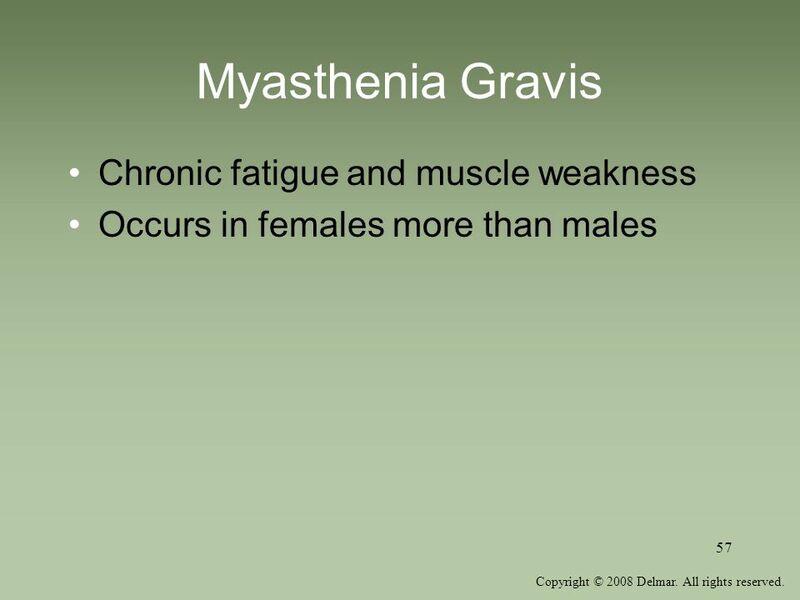 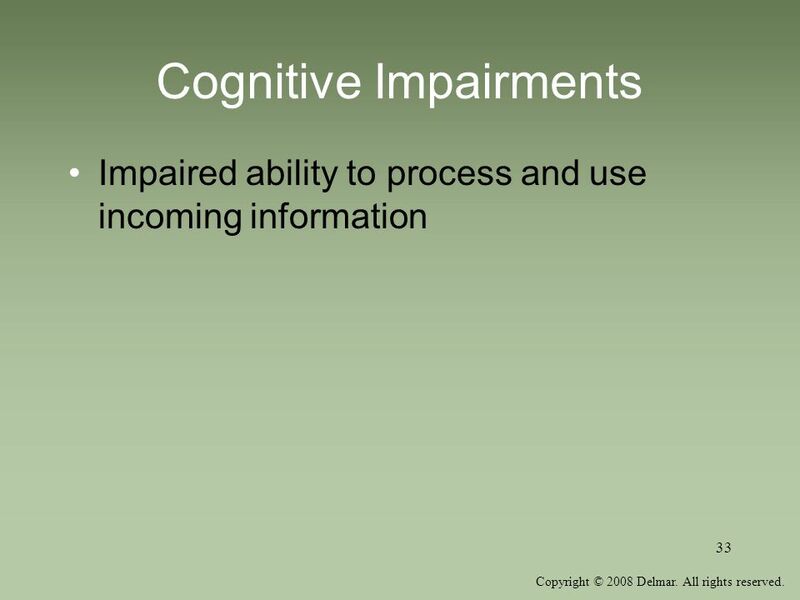 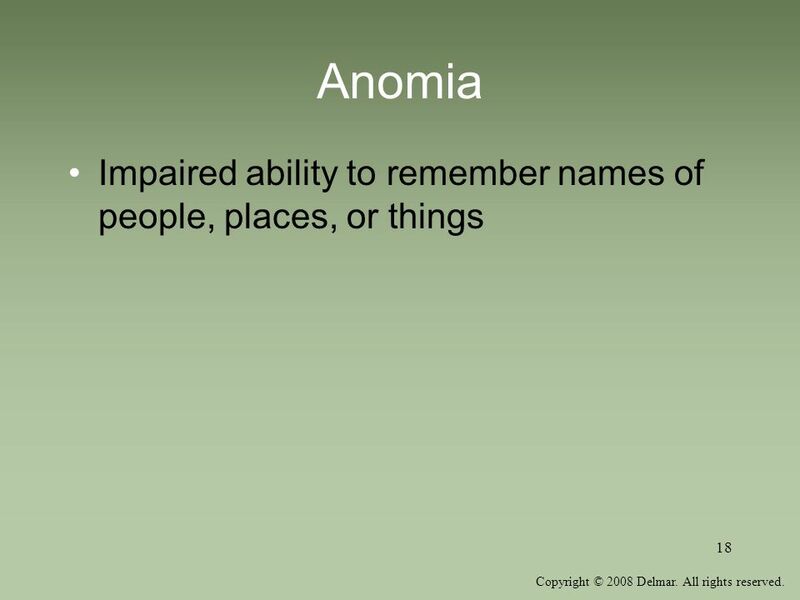 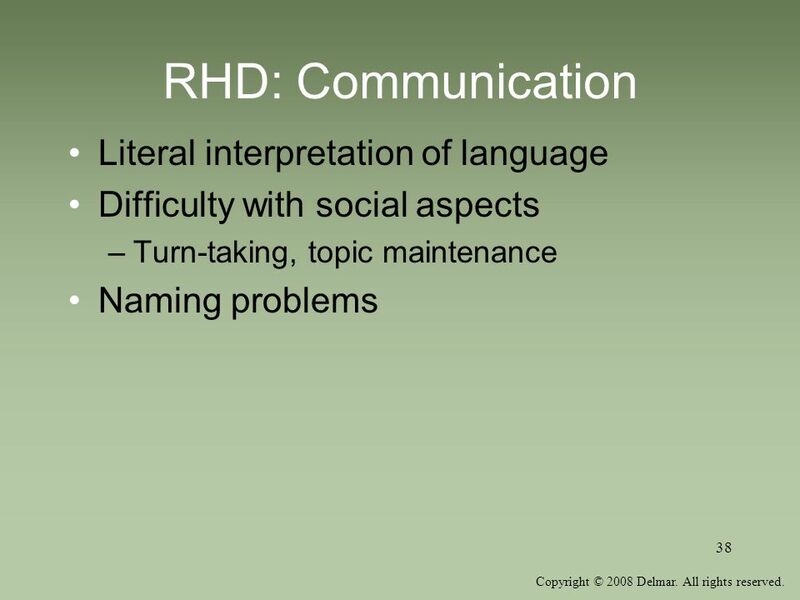 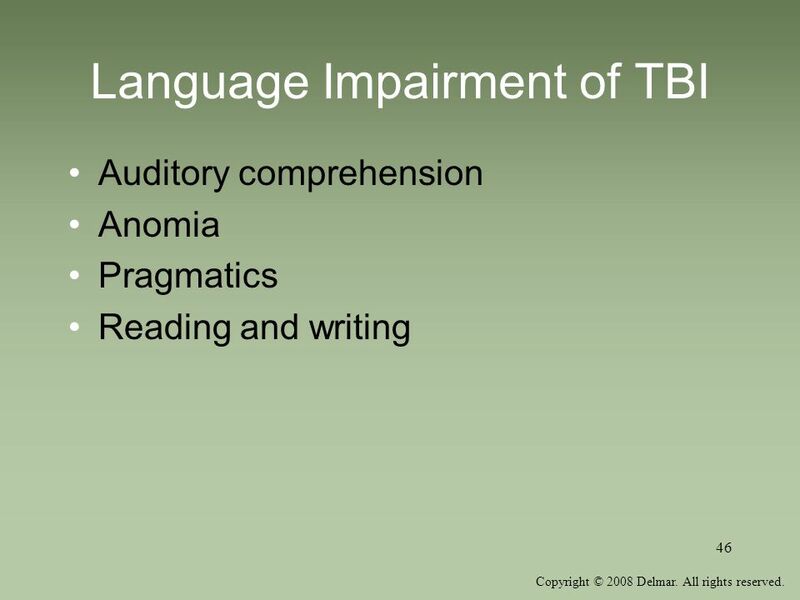 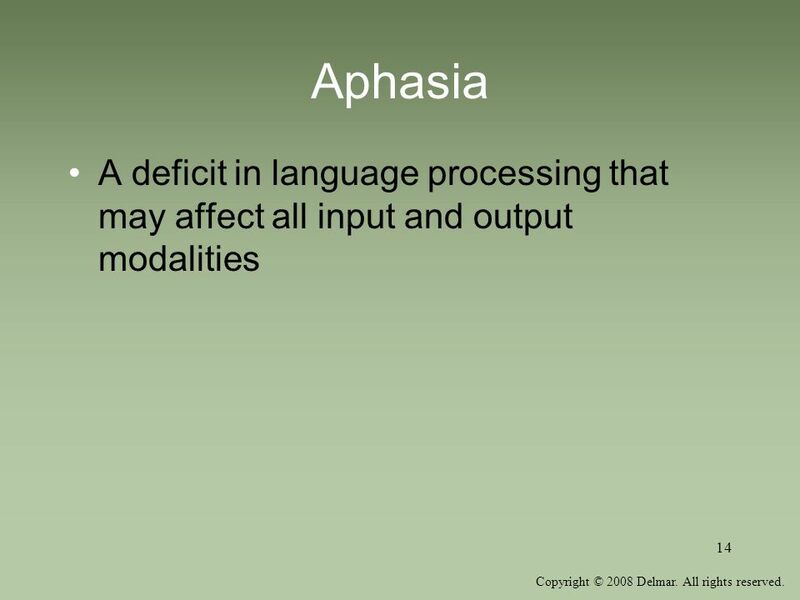 14 Aphasia A deficit in language processing that may affect all input and output modalities Check the website of the National Aphasia Association. 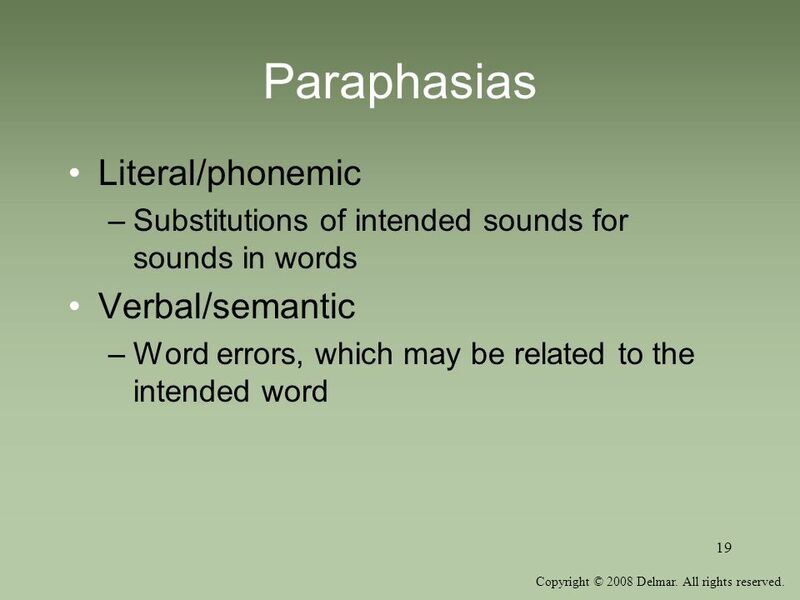 Substitutions of intended sounds for sounds in words Verbal/semantic Word errors, which may be related to the intended word See examples in text. 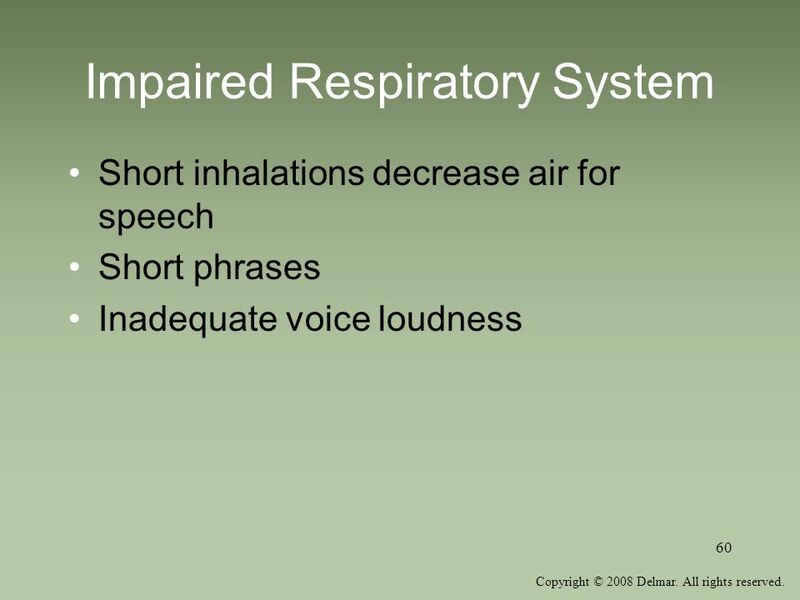 Students could create other examples. 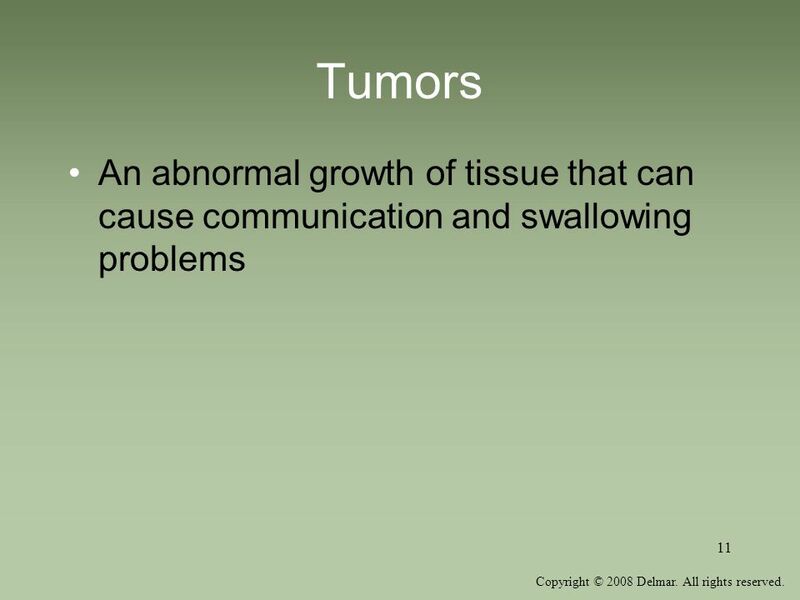 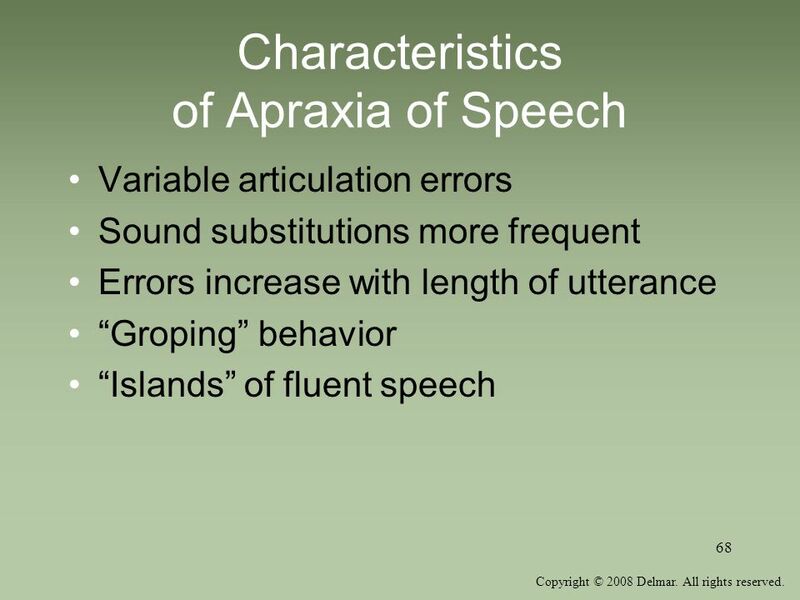 See examples in text. 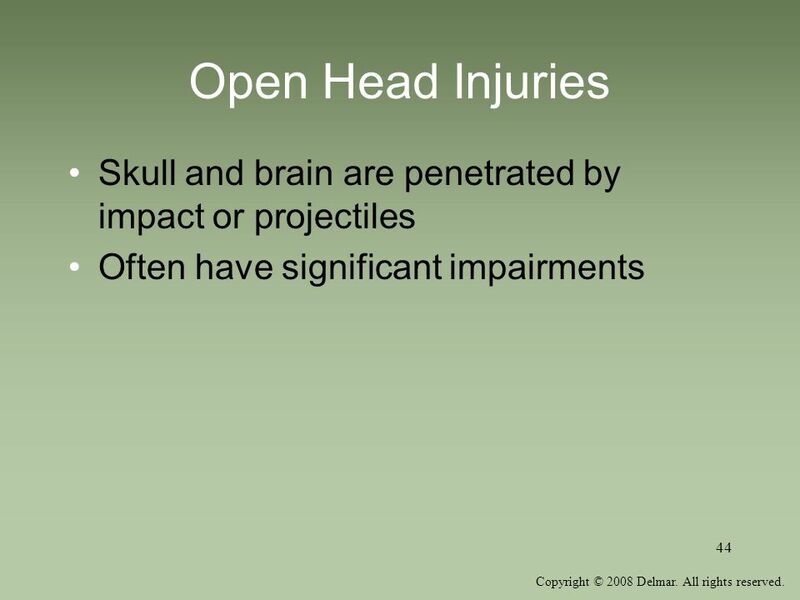 Students could create other examples. 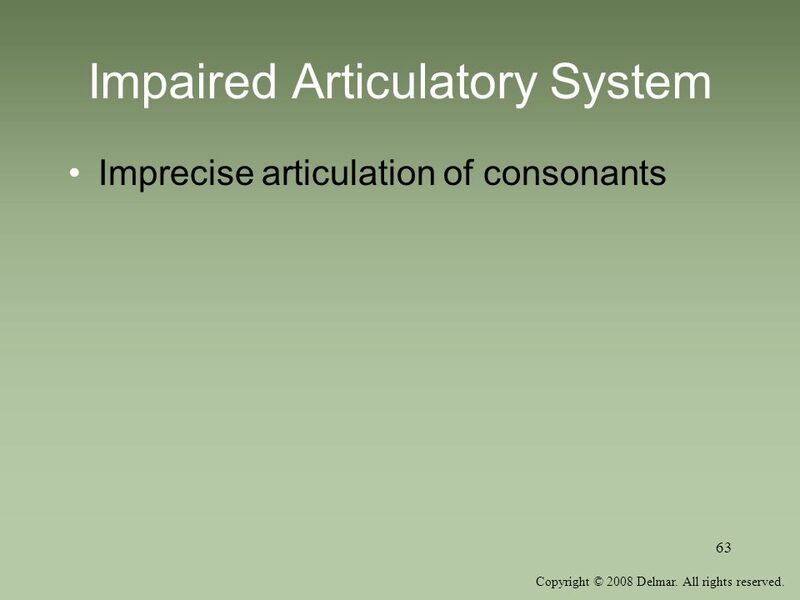 Sidebar presents strategies for word retrieval. 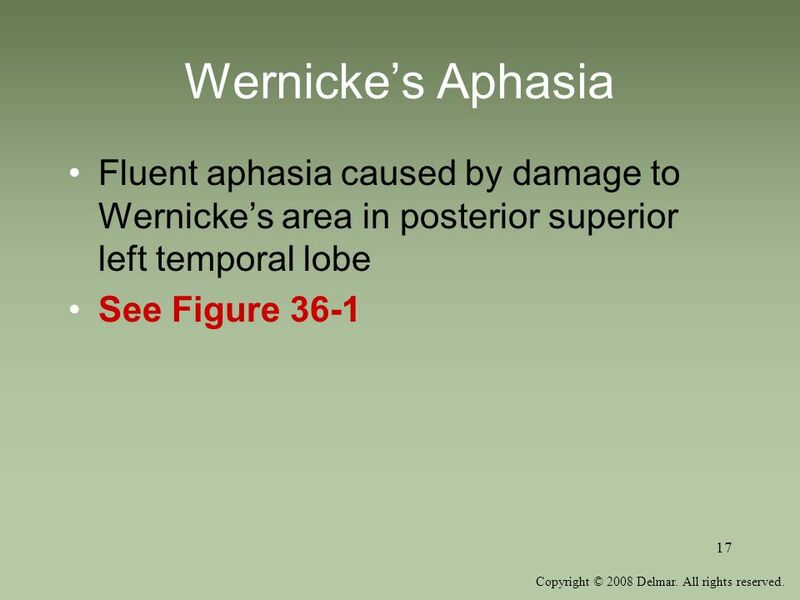 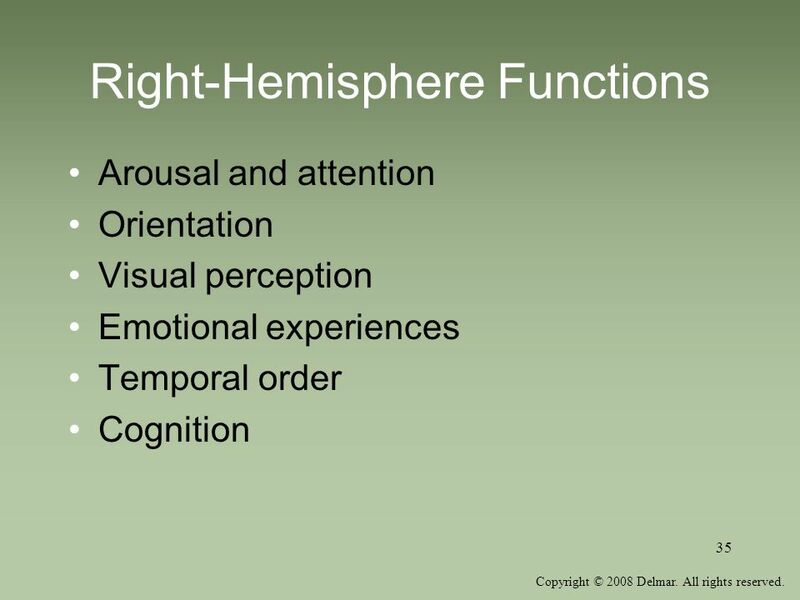 Site of lesion in lower posterior region of the left frontal lobe in the premotor cortex Patient may have right-sided weakness or loss of movement See Figure 36-1. 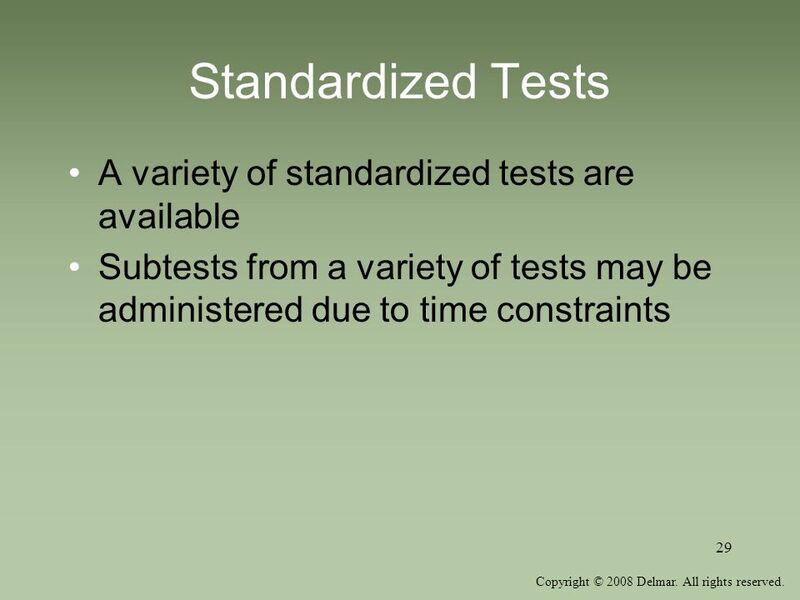 Subtests from a variety of tests may be administered due to time constraints See Figure 36-2 for list of tests. 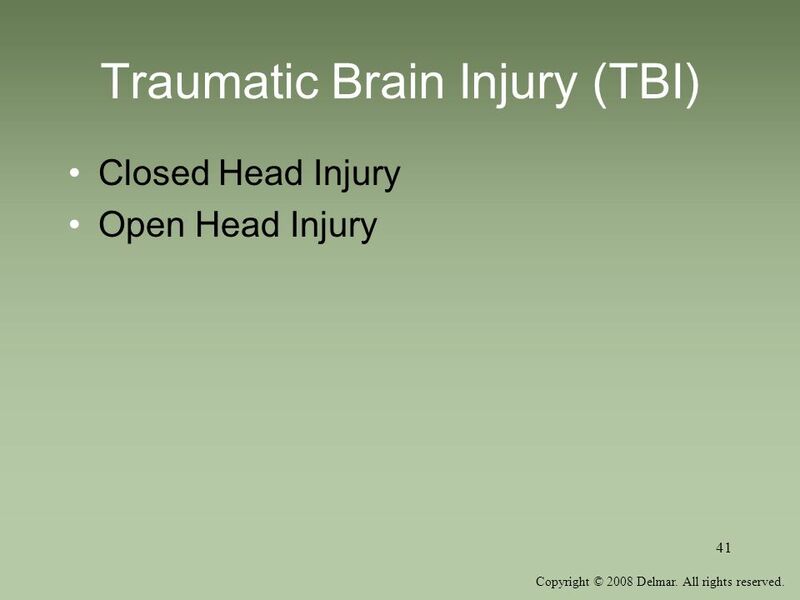 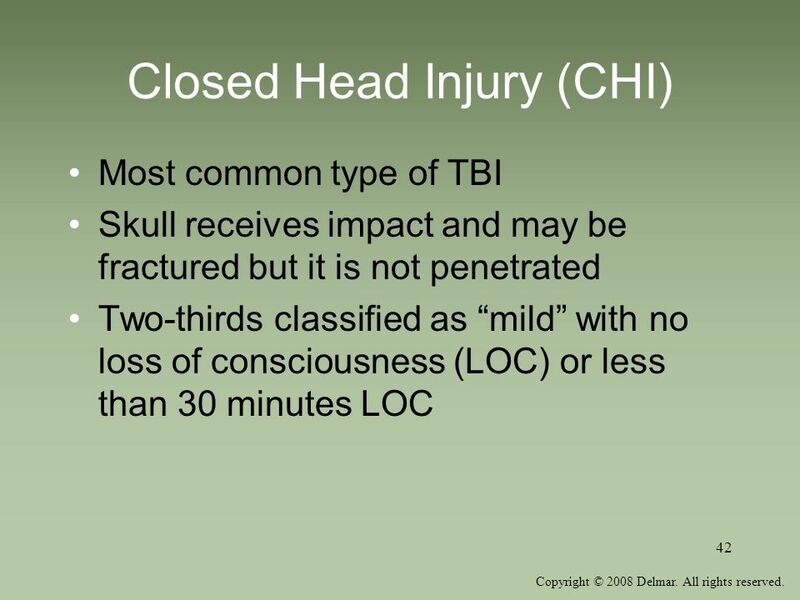 Most common type of TBI Skull receives impact and may be fractured but it is not penetrated Two-thirds classified as “mild” with no loss of consciousness (LOC) or less than 30 minutes LOC See Figure 37-2 for diagram of CHI and the contrecoup damage. 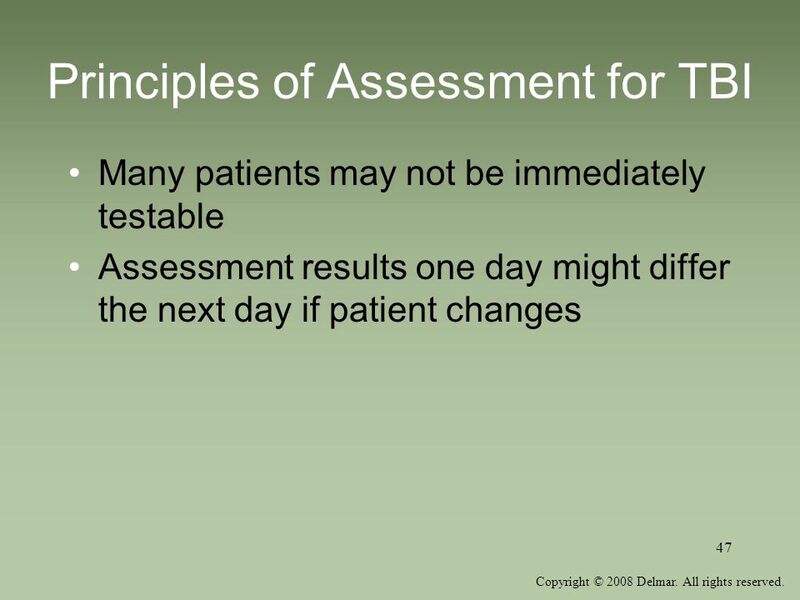 Many patients may not be immediately testable Assessment results one day might differ the next day if patient changes See Figure 37-3 for TBI test batteries. 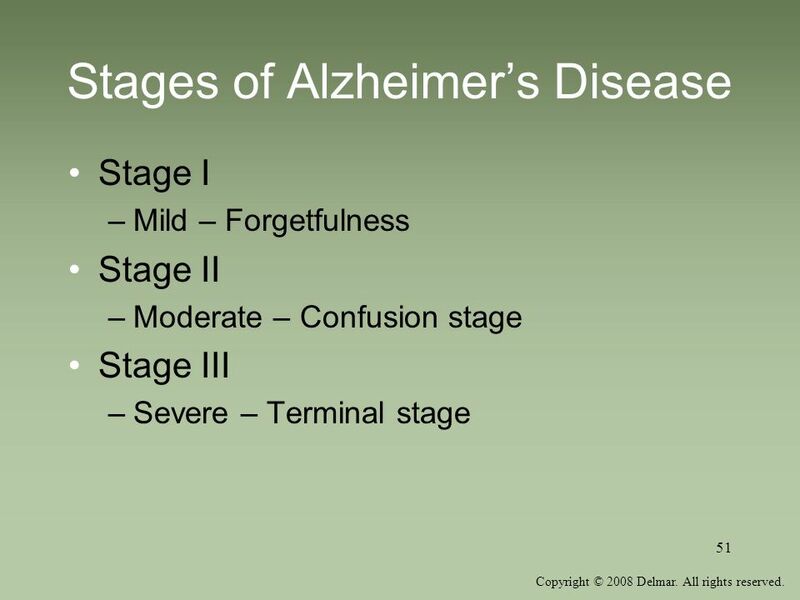 Stage I Mild – Forgetfulness Stage II Moderate – Confusion stage Stage III Severe – Terminal stage Personal story of Daisy presented. 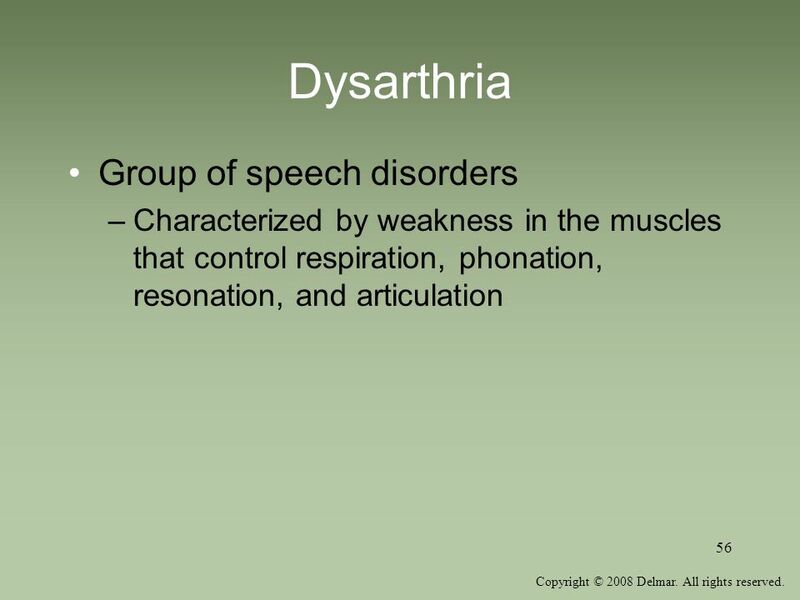 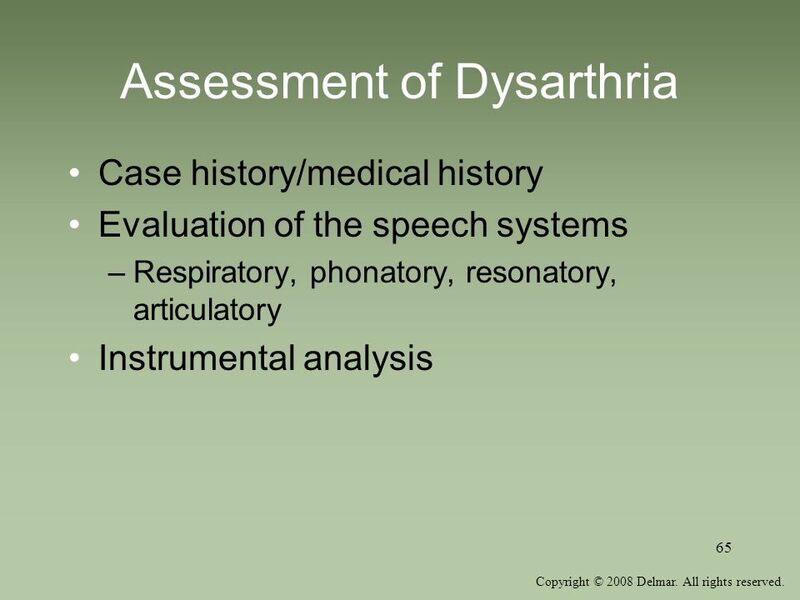 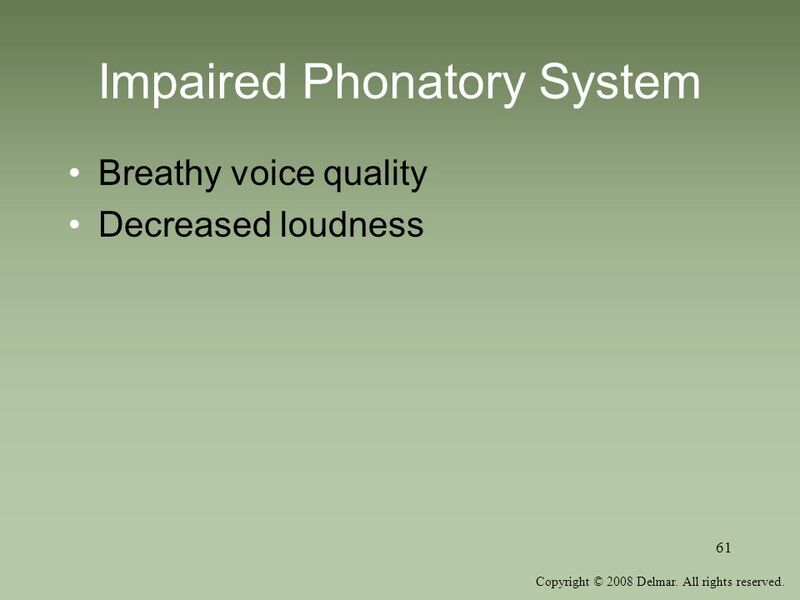 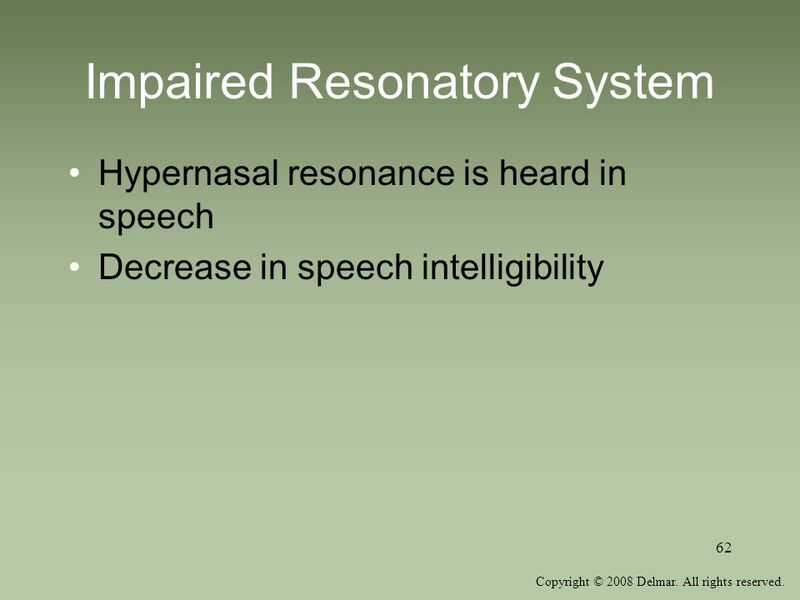 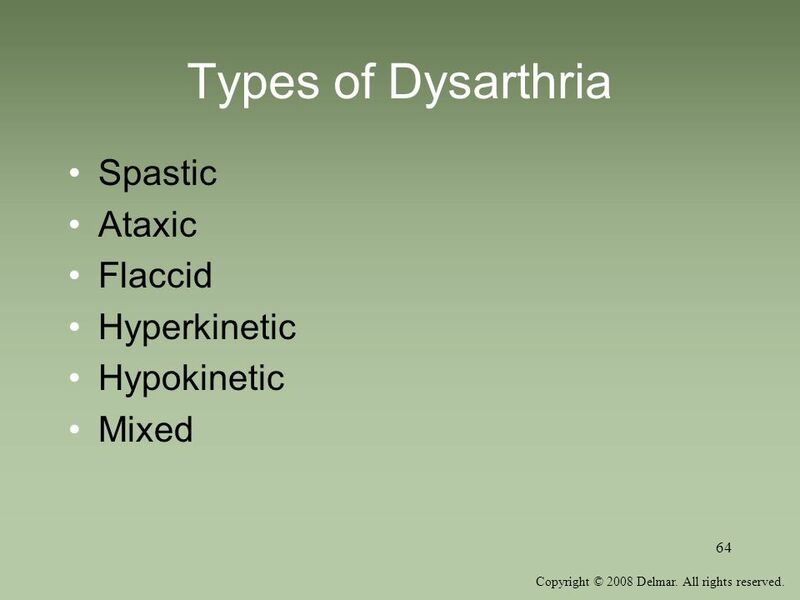 Characterized by weakness in the muscles that control respiration, phonation, resonation, and articulation See Figure 38-1 for speech dimensions of dysarthria. 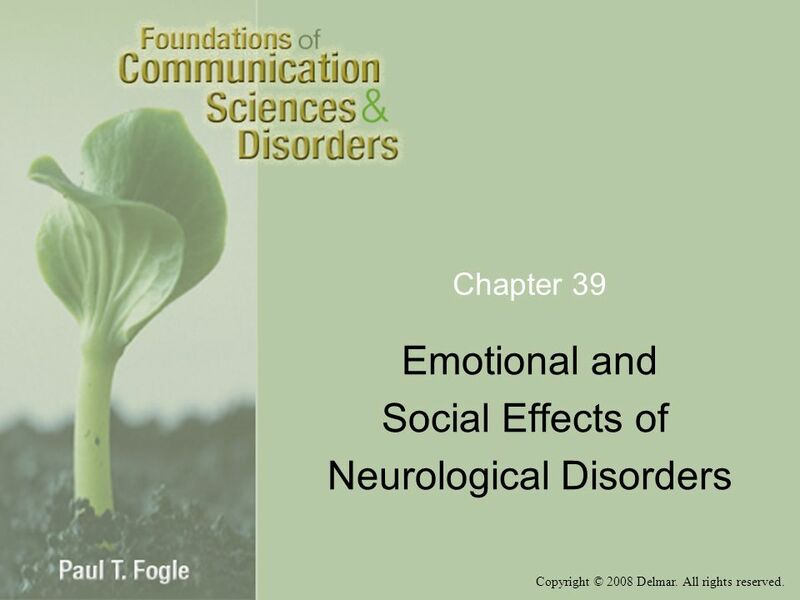 Occurs in females more than males Personal story in this section. 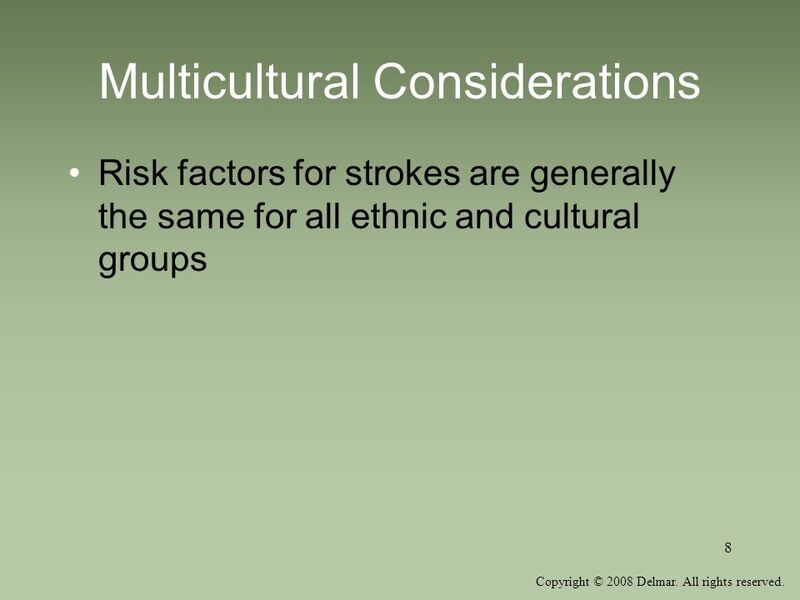 Mixed See Table 38-1 for characteristics of these six types. 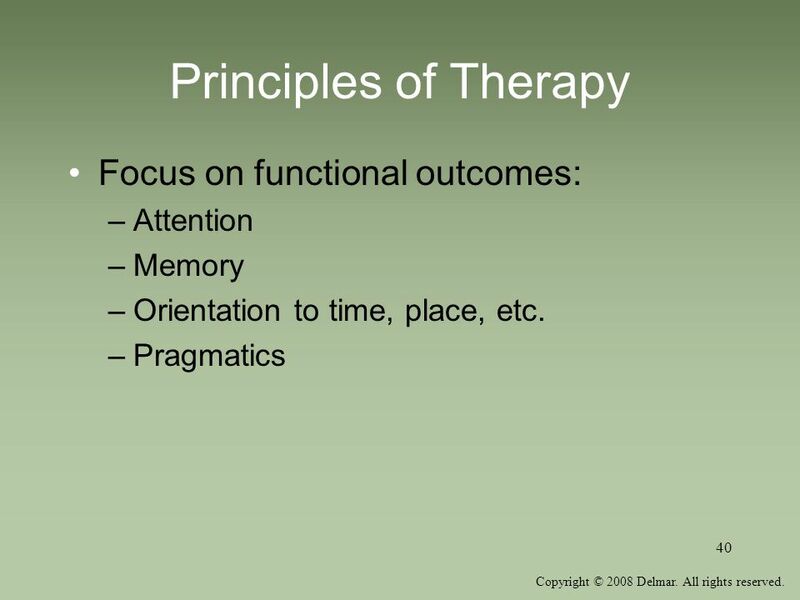 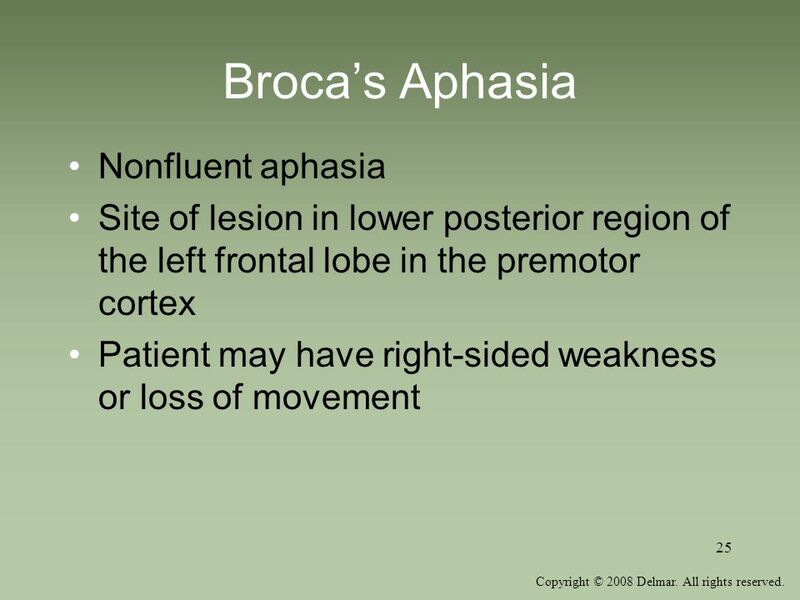 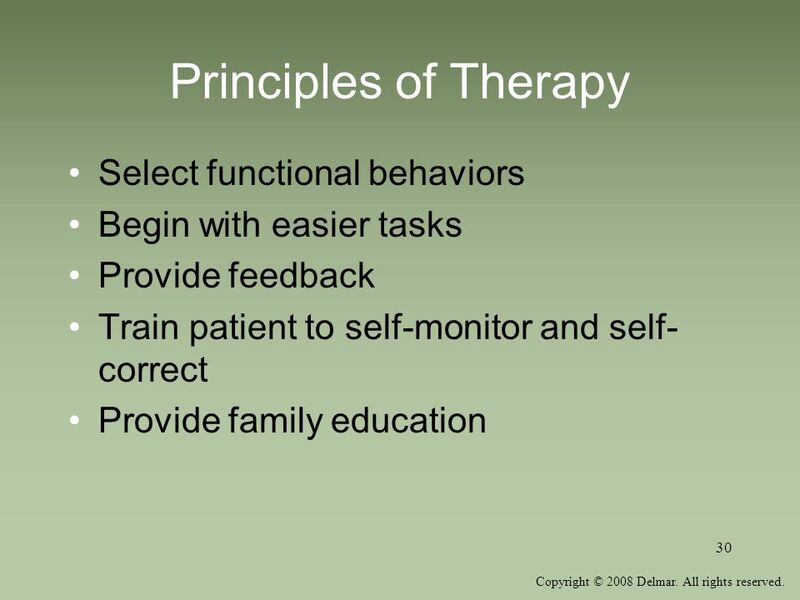 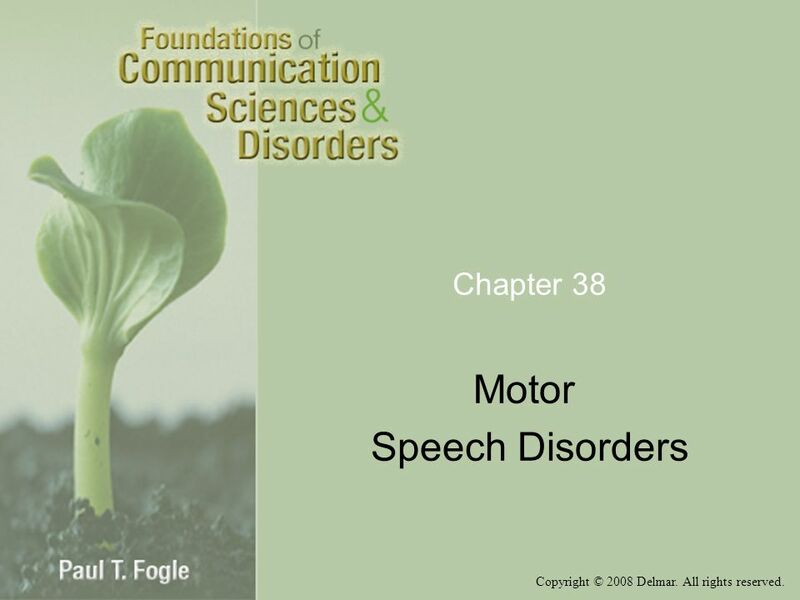 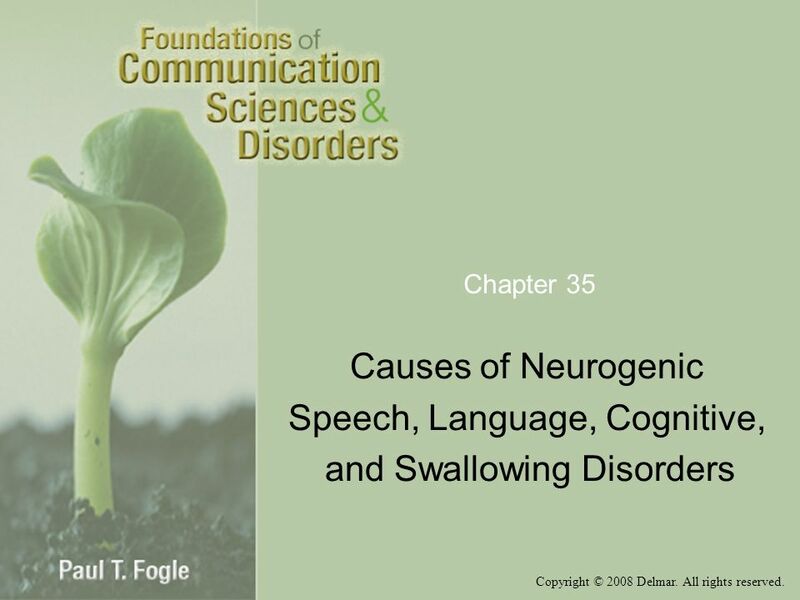 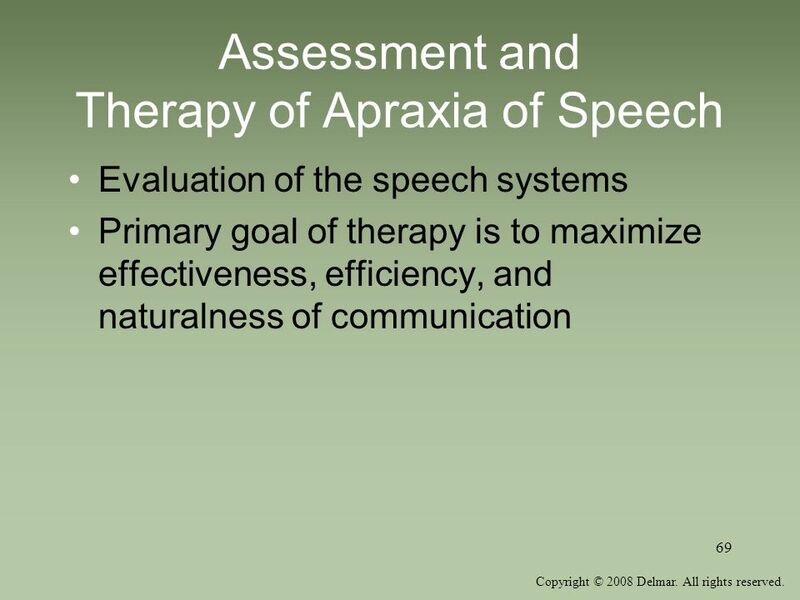 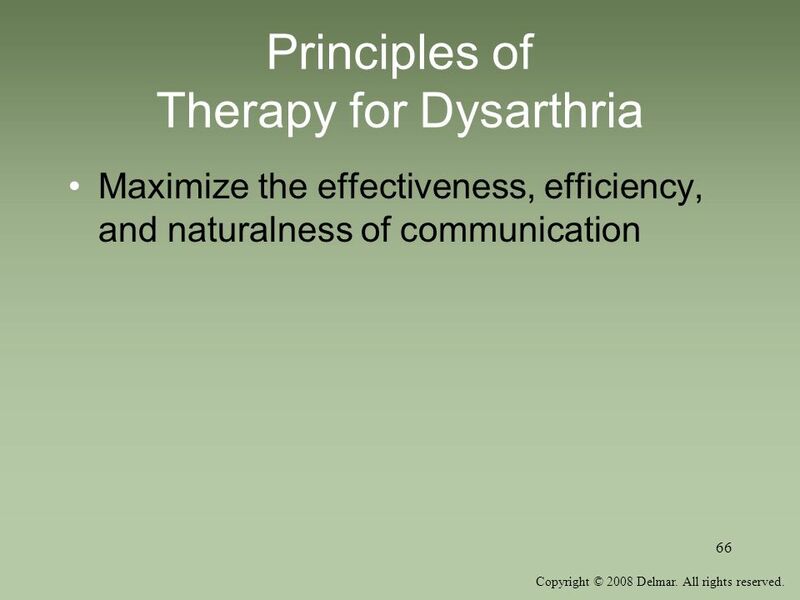 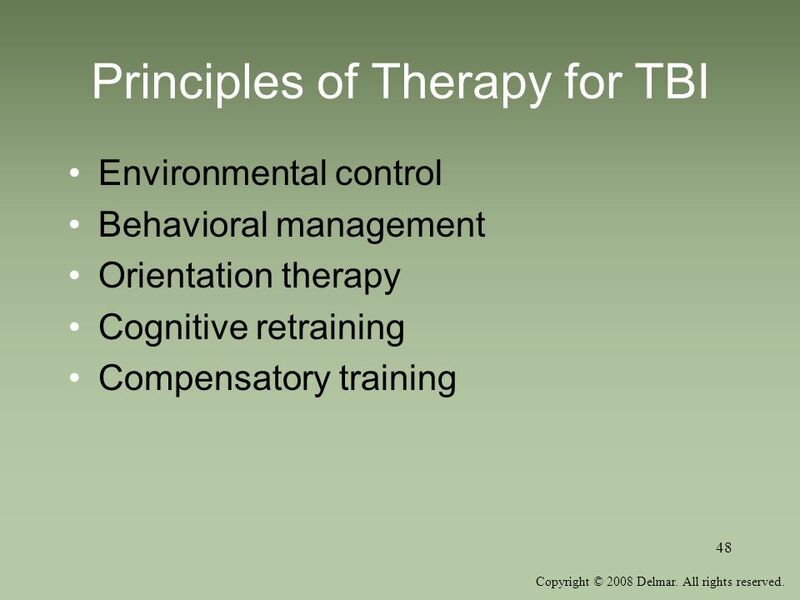 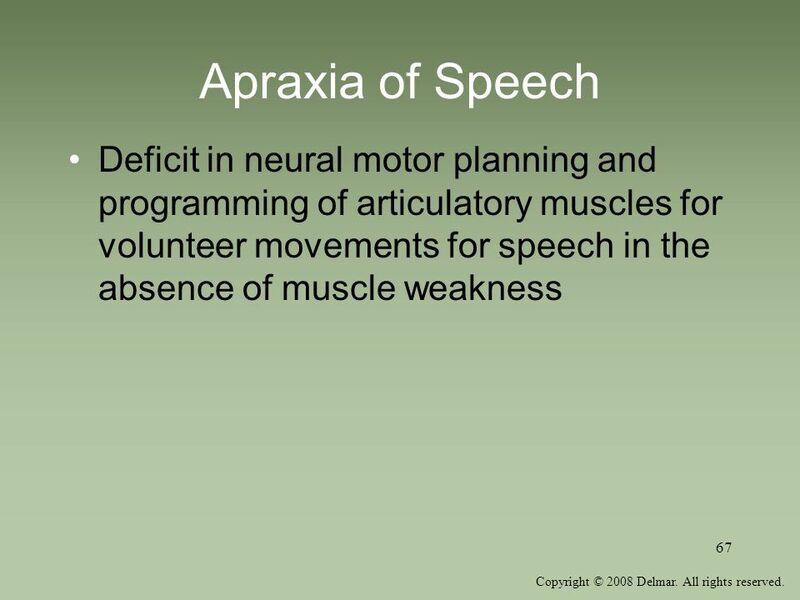 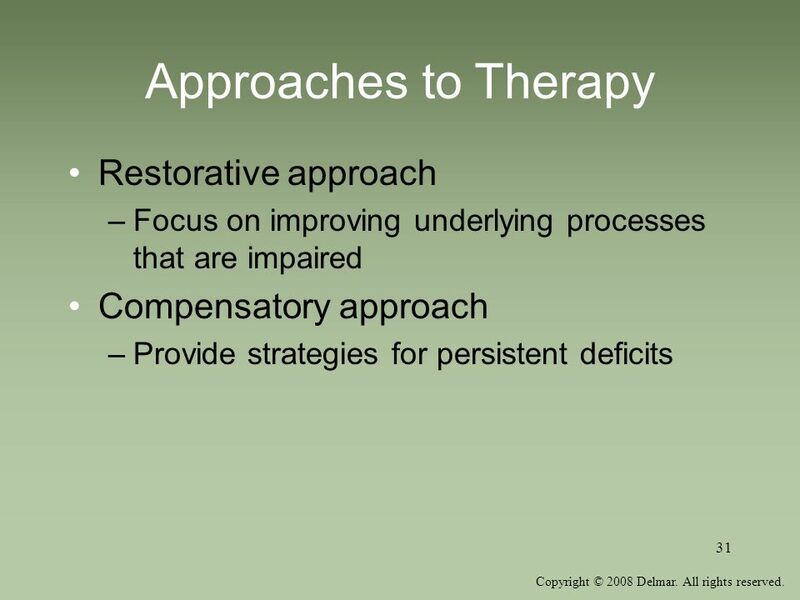 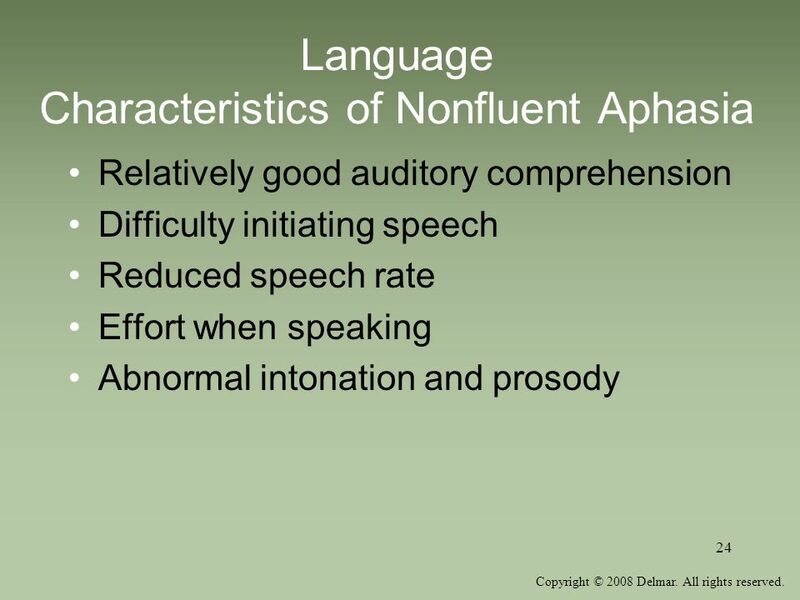 Evaluation of the speech systems Primary goal of therapy is to maximize effectiveness, efficiency, and naturalness of communication See Figure 38-3 fro assessment materials for apraxia. 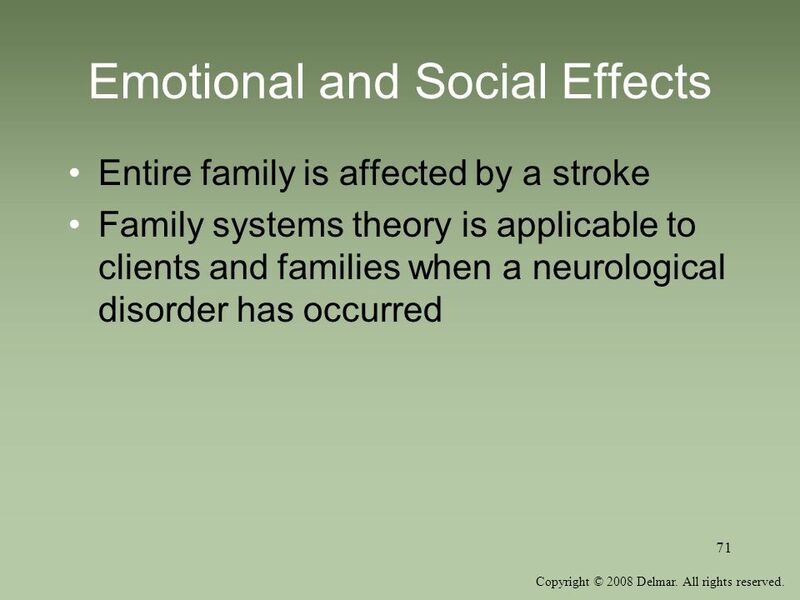 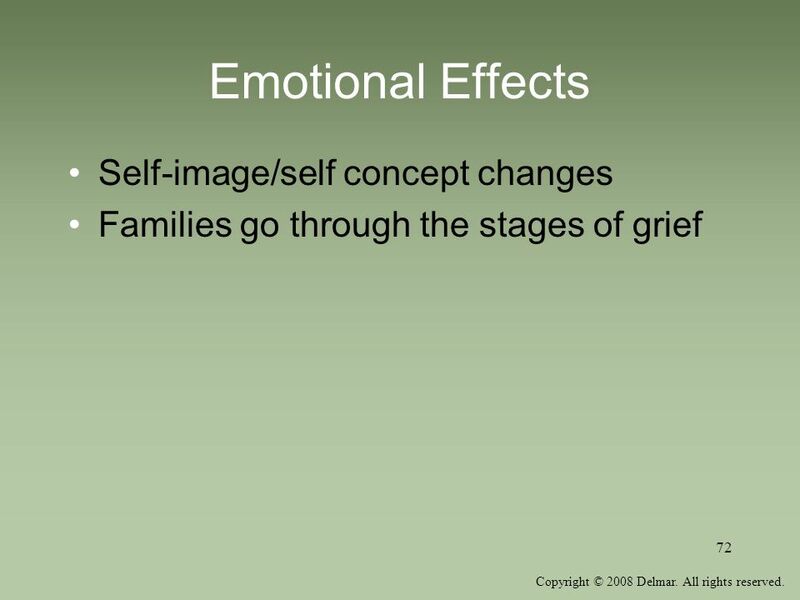 Families go through the stages of grief See discussion of Kubler-Ross’ stages of grief. 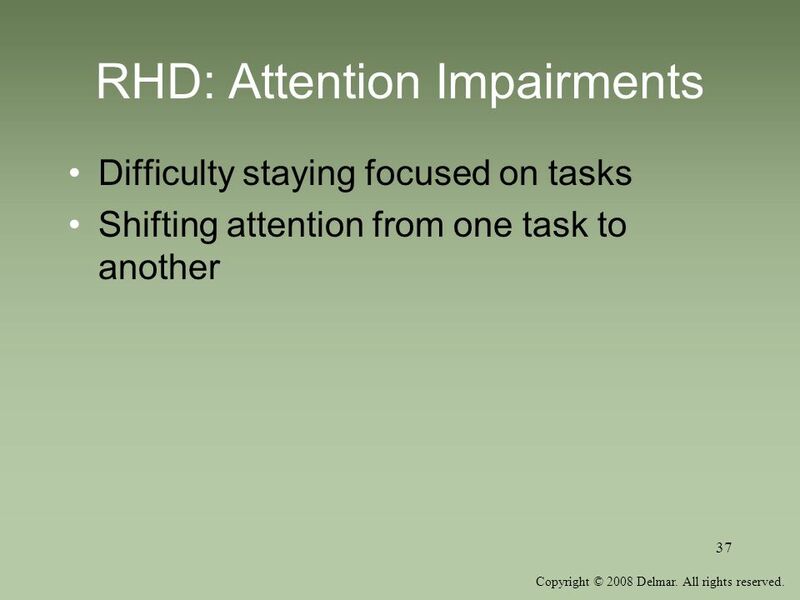 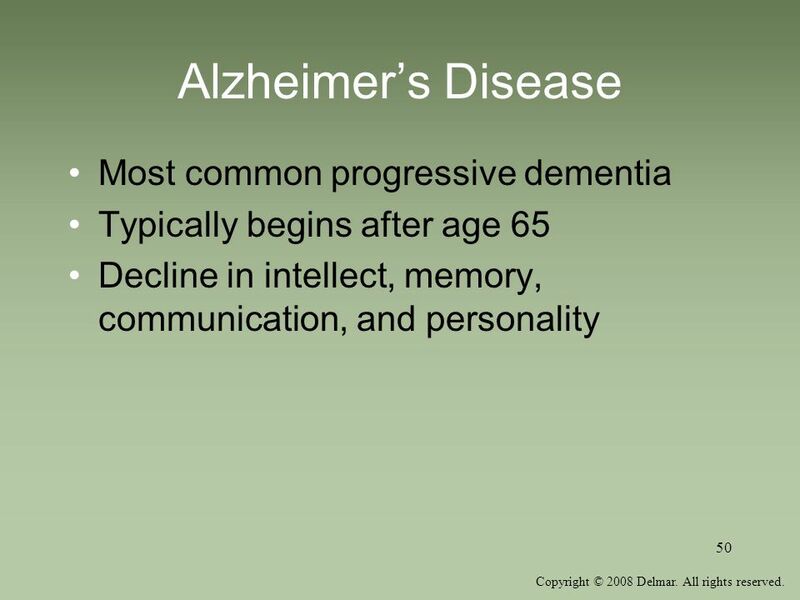 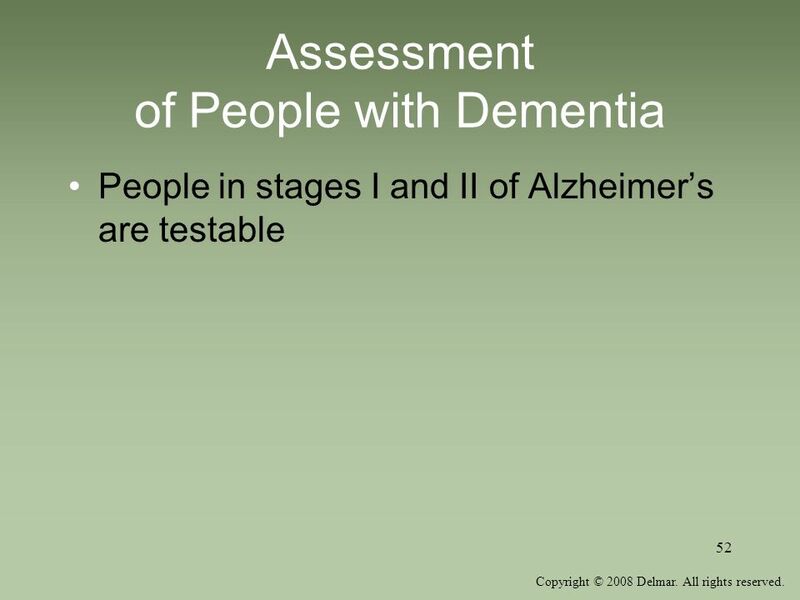 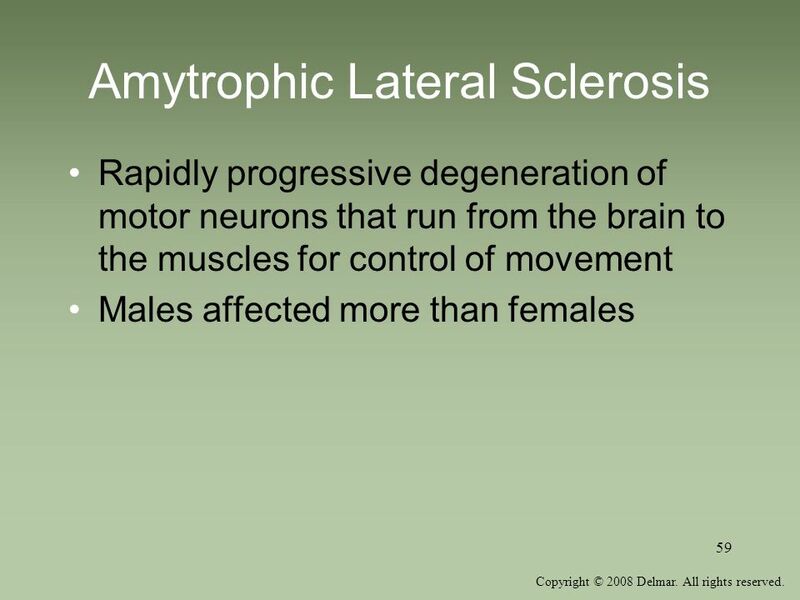 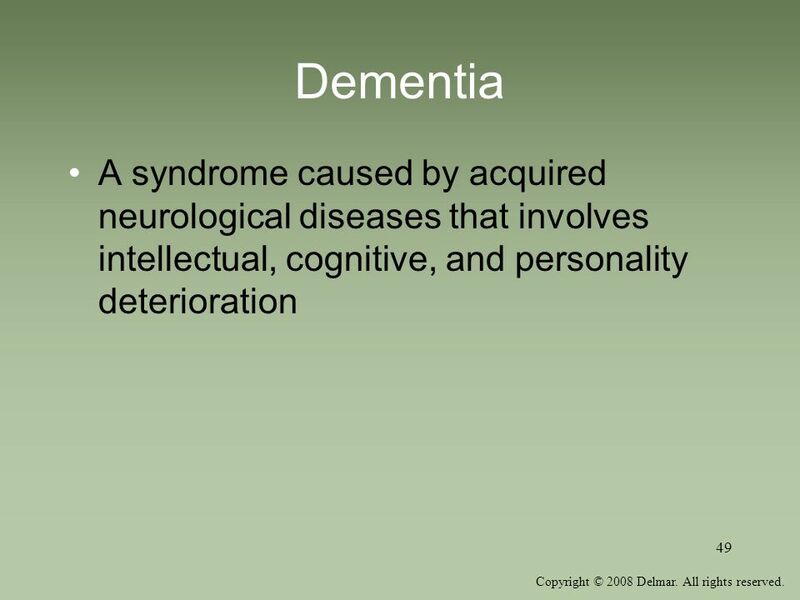 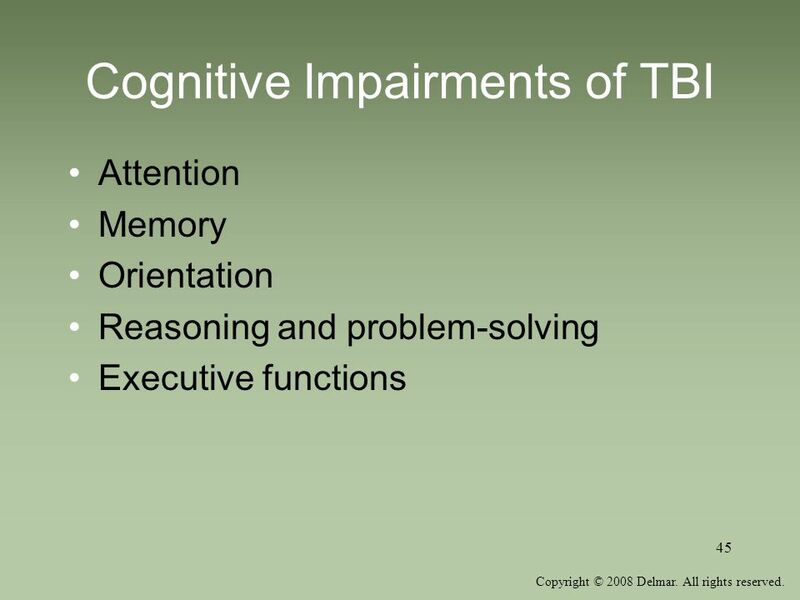 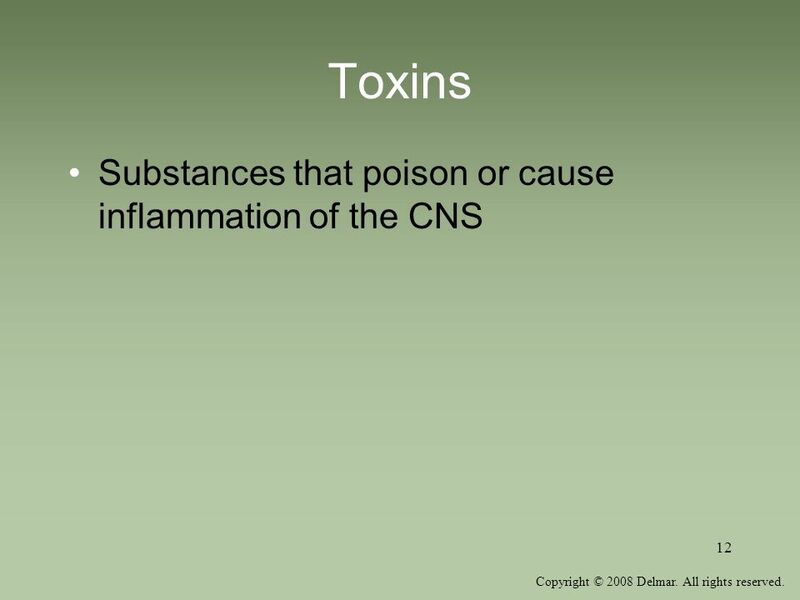 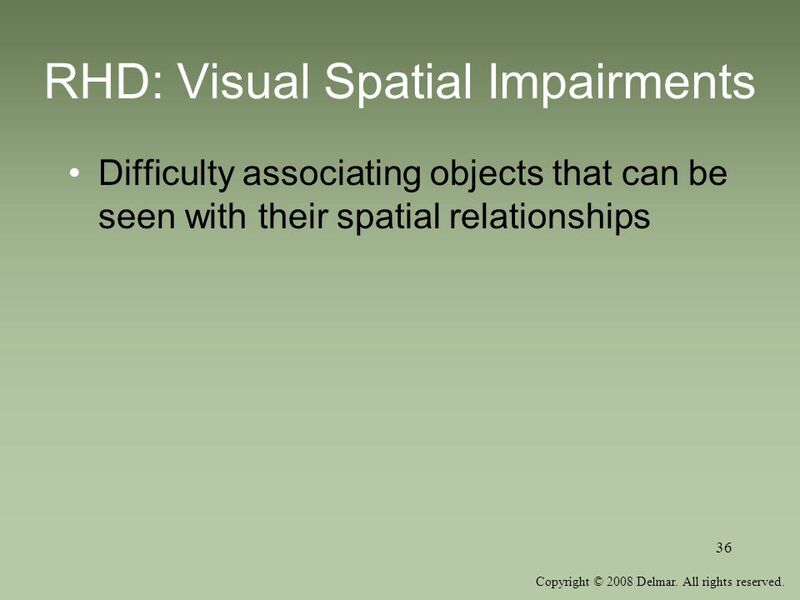 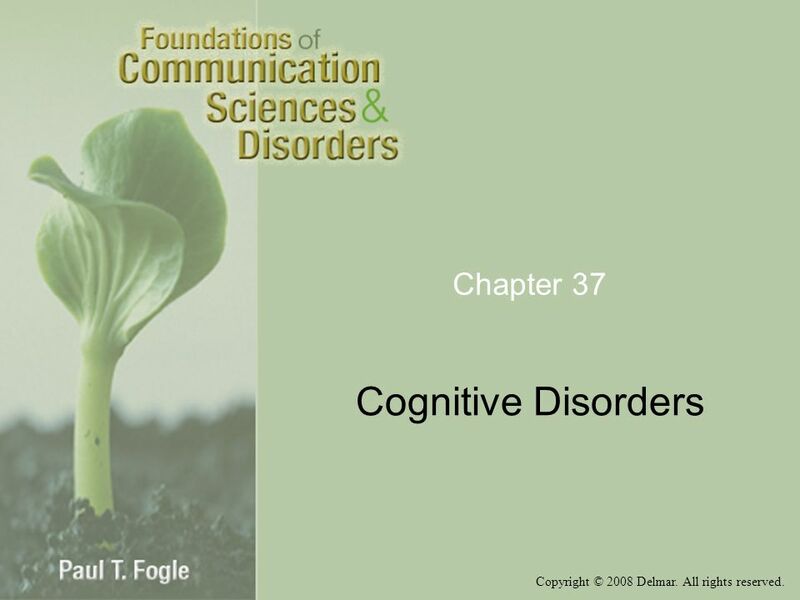 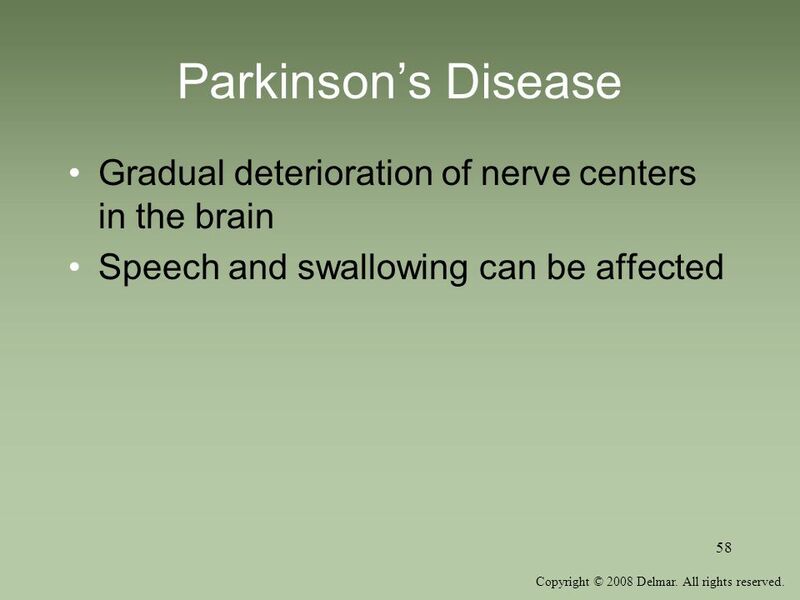 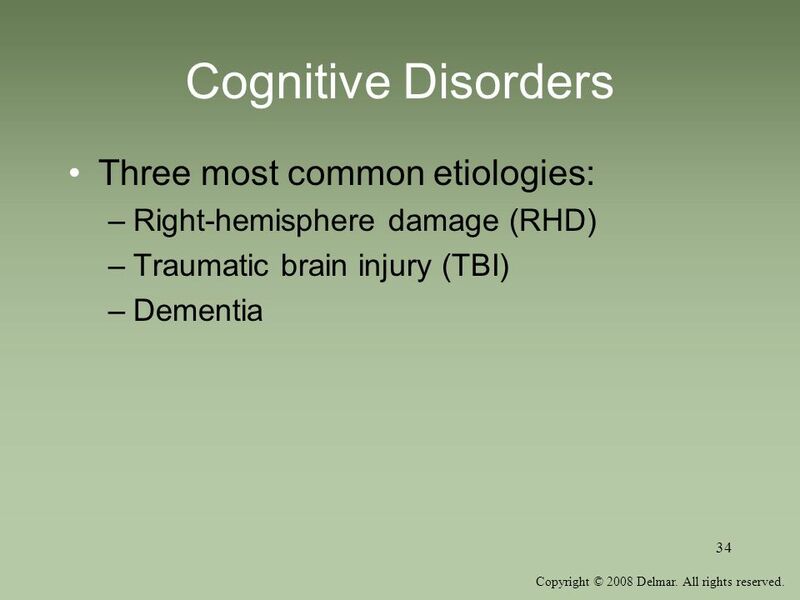 Download ppt "Neurological Disorders in Adults"